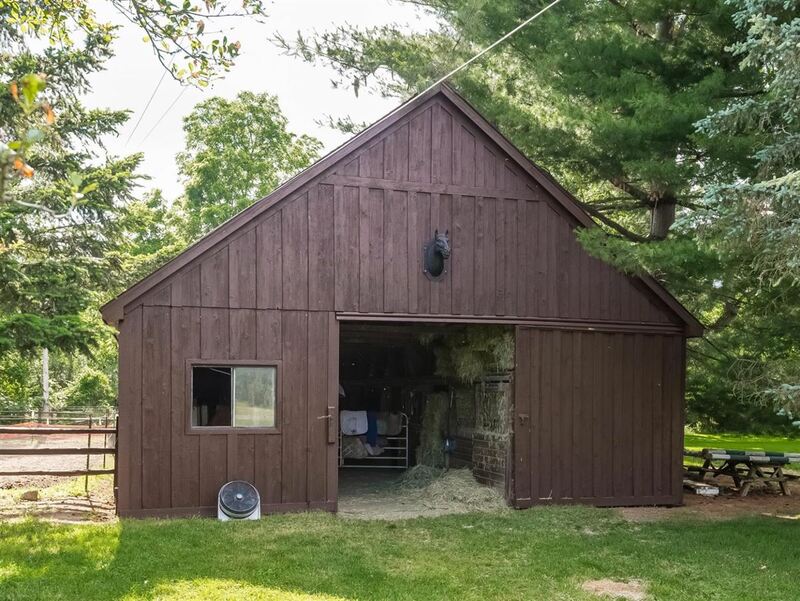 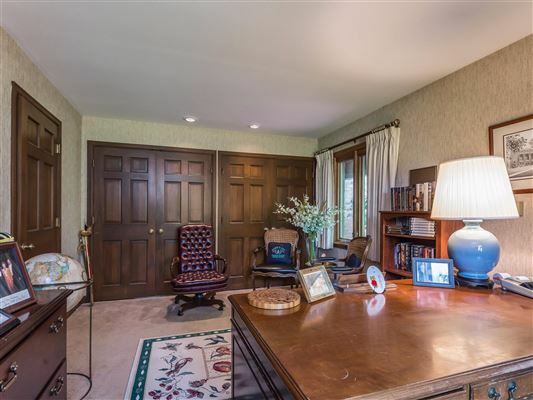 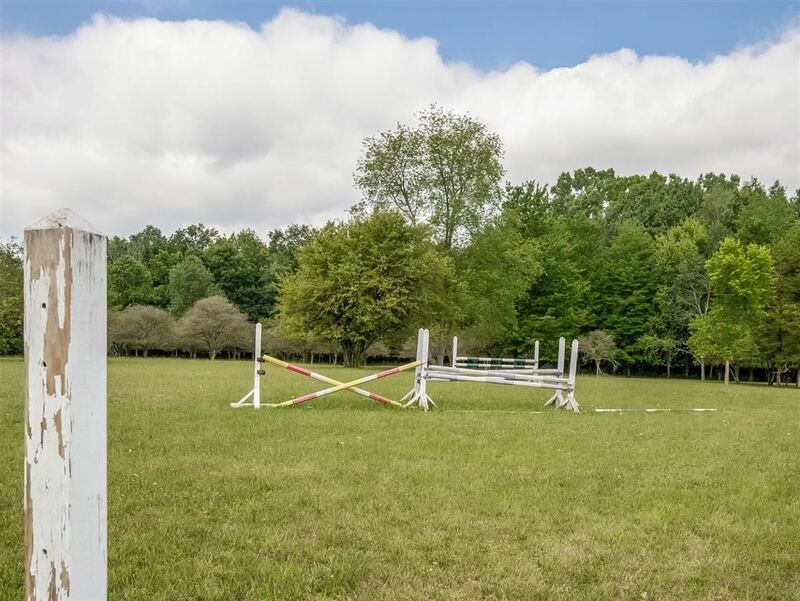 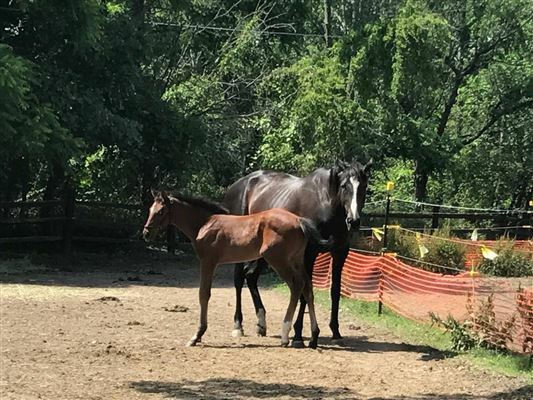 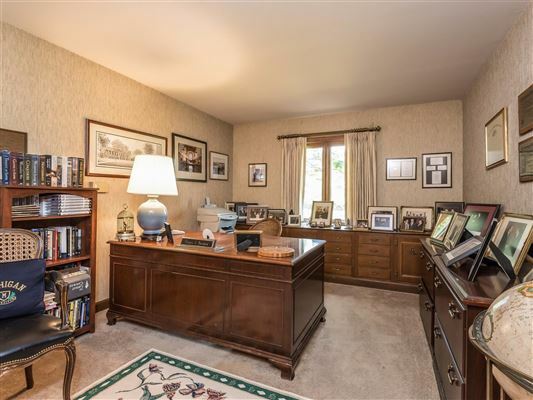 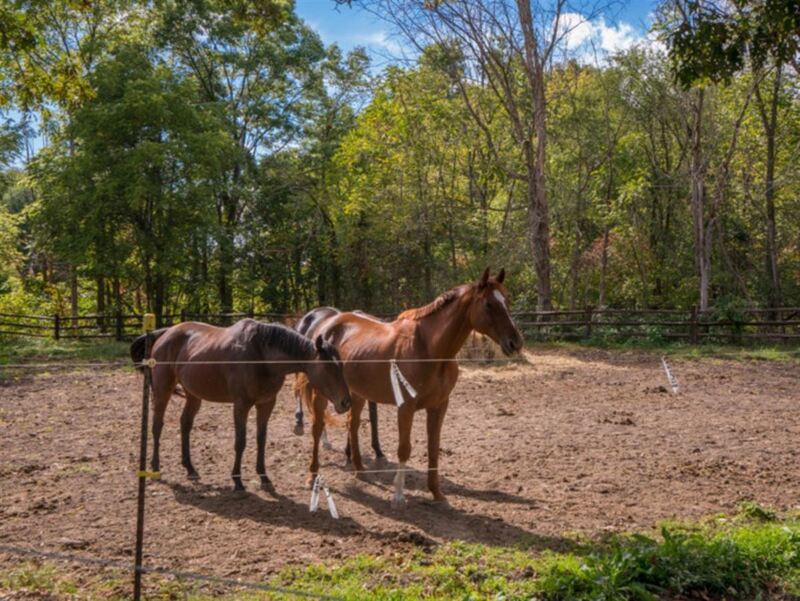 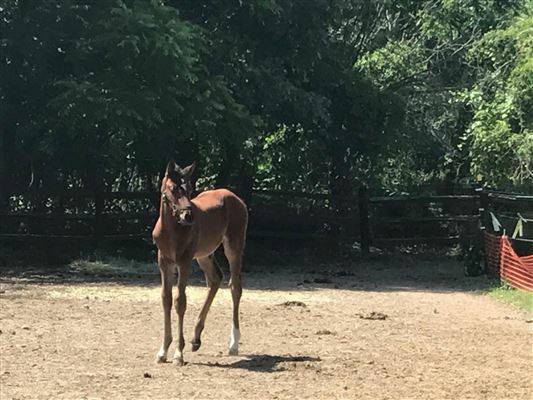 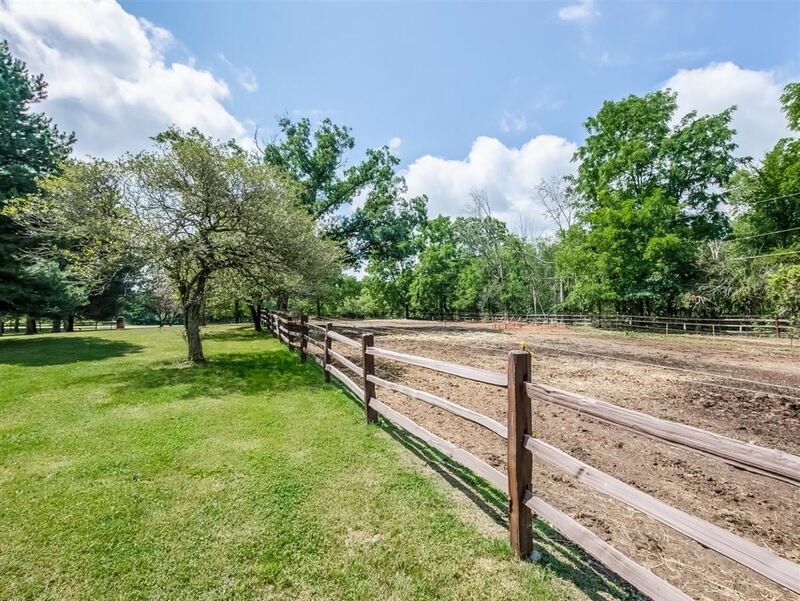 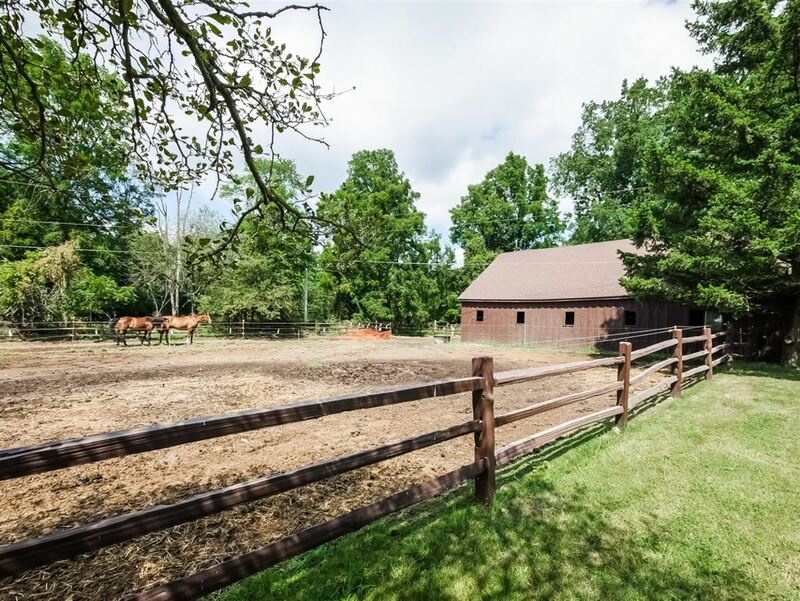 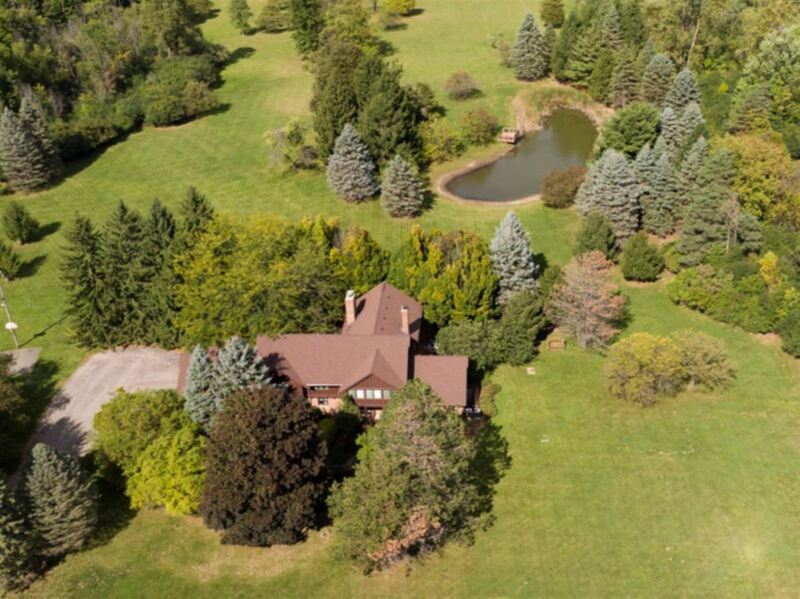 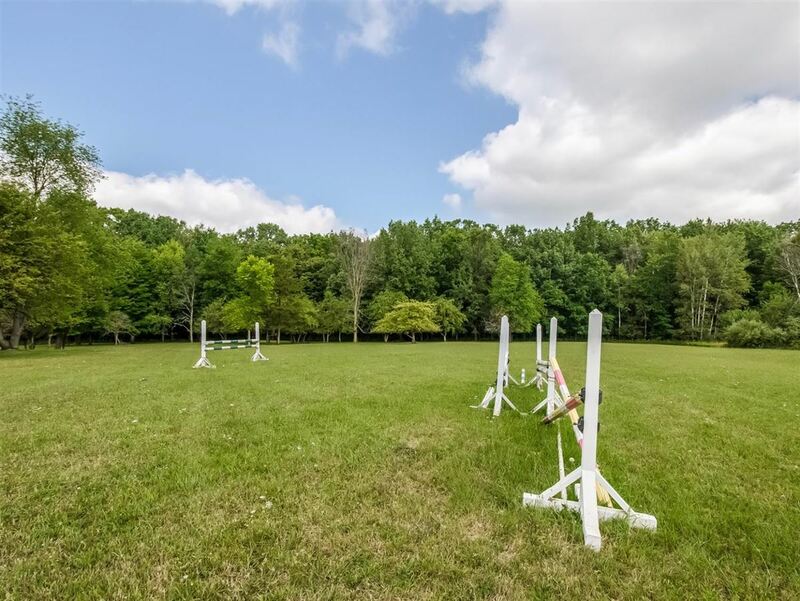 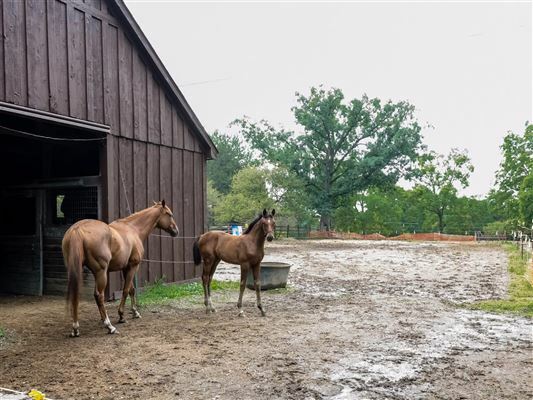 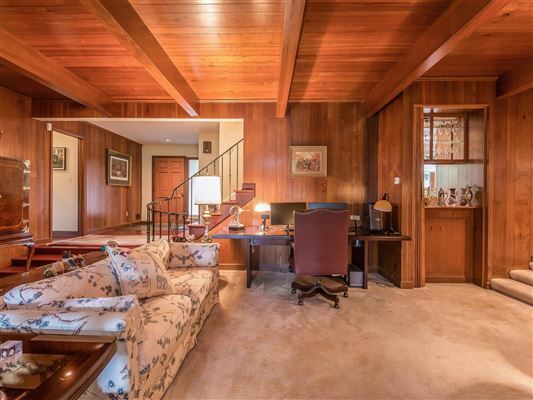 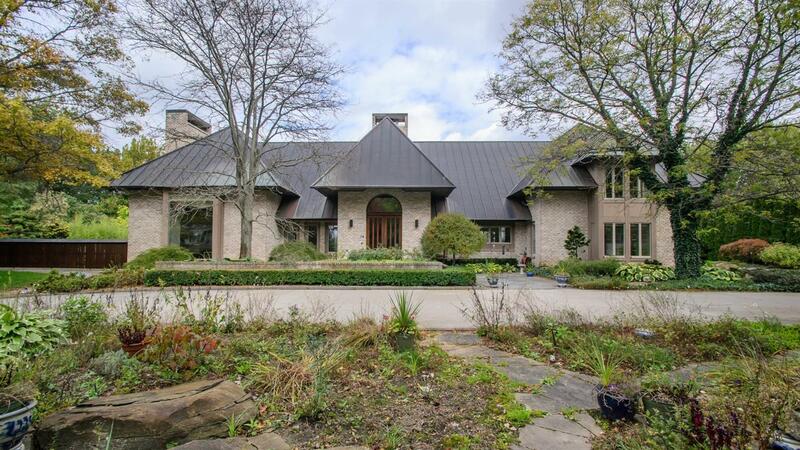 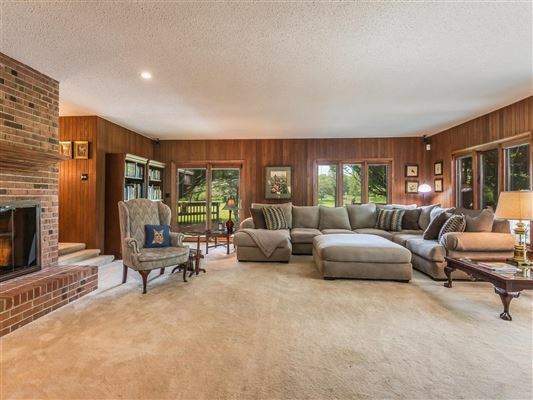 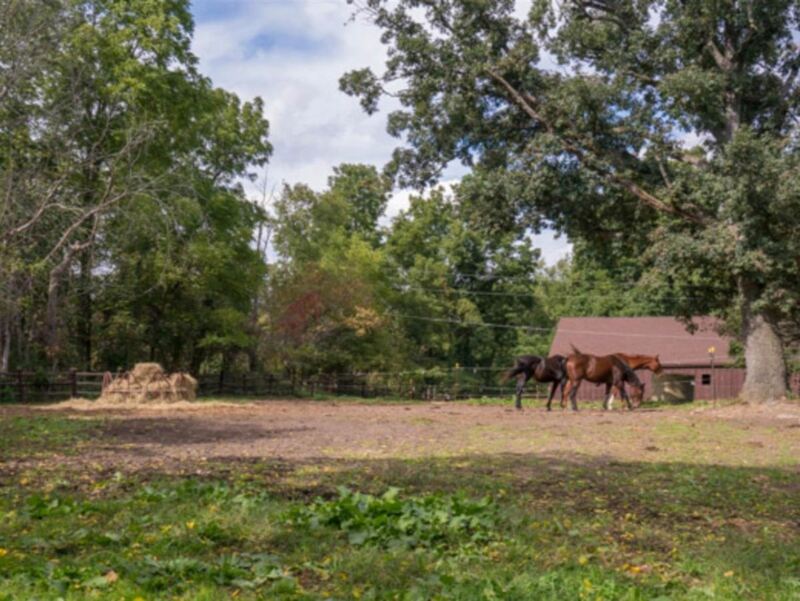 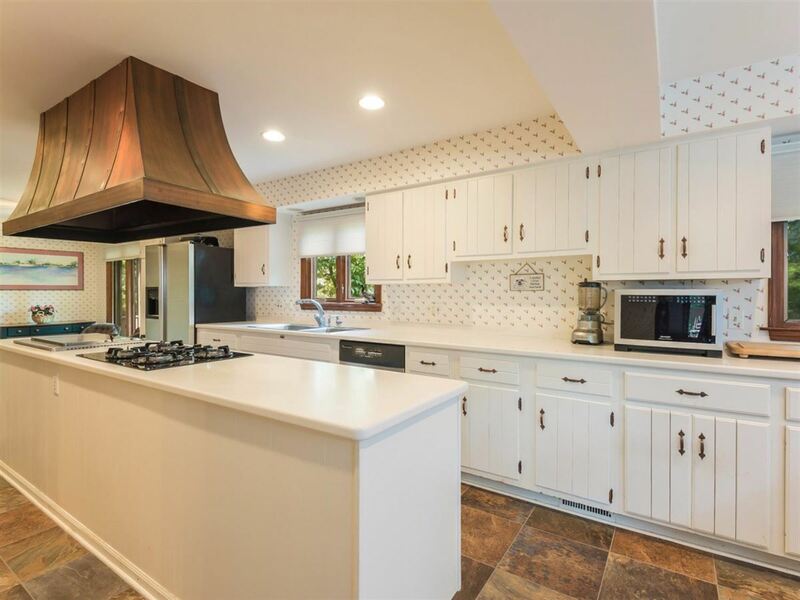 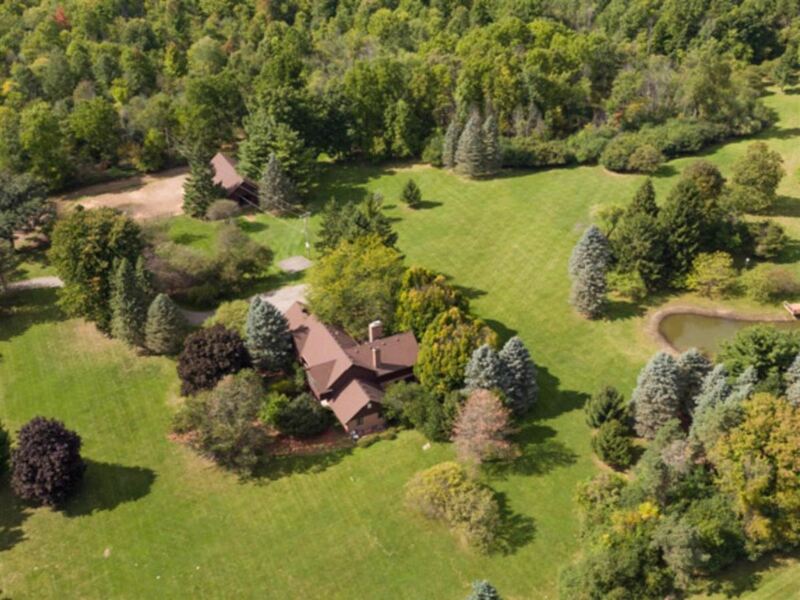 Stately, 5,915 total livable square feet (4,874 above grade, 1,041 below grade) estate on 33.91 lush and wooded acres surrounded by plants, wildlife, pond, horse barn with six stables and corral. 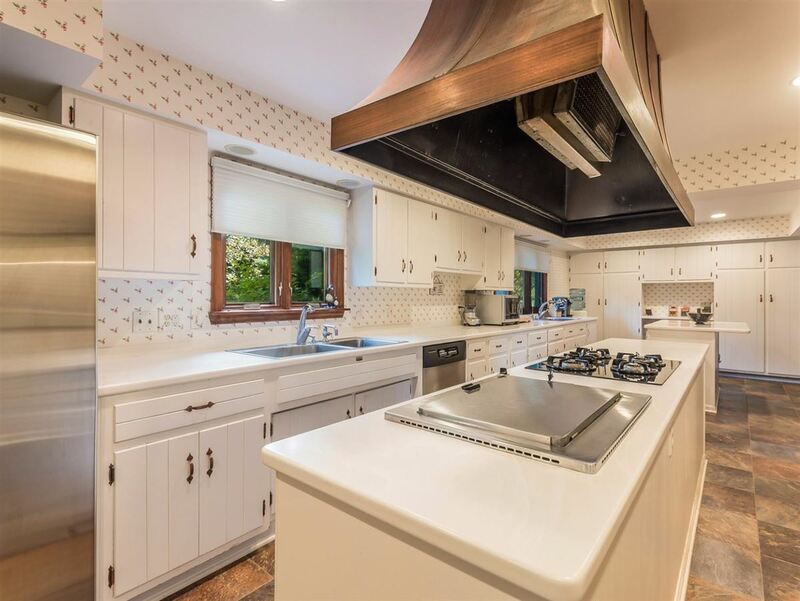 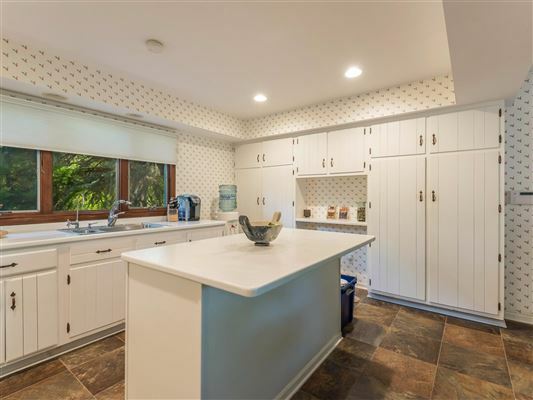 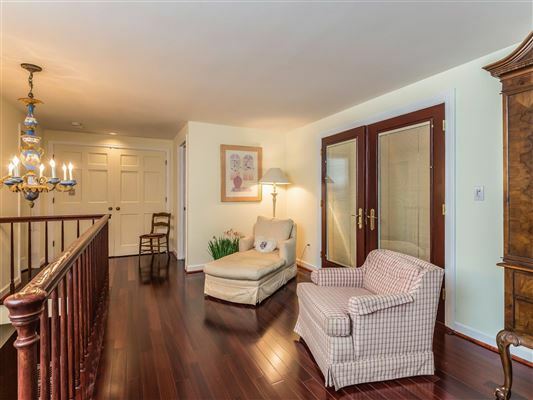 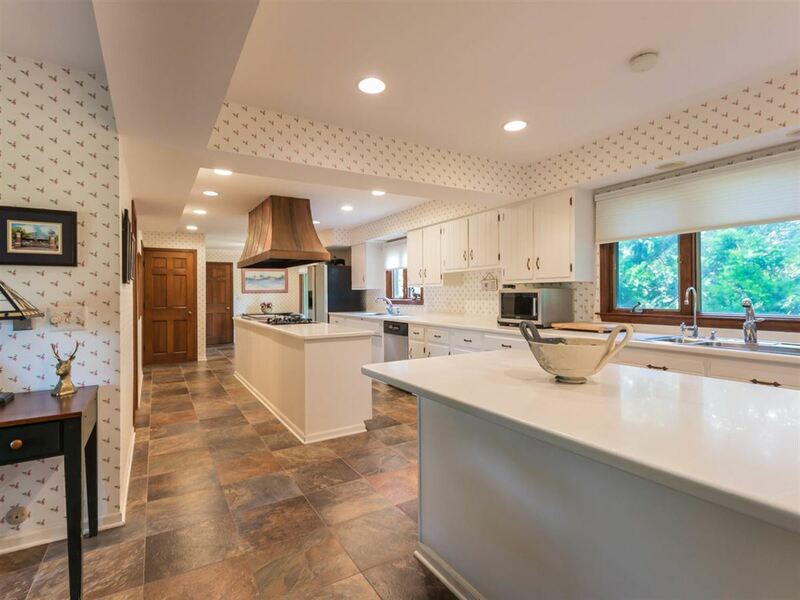 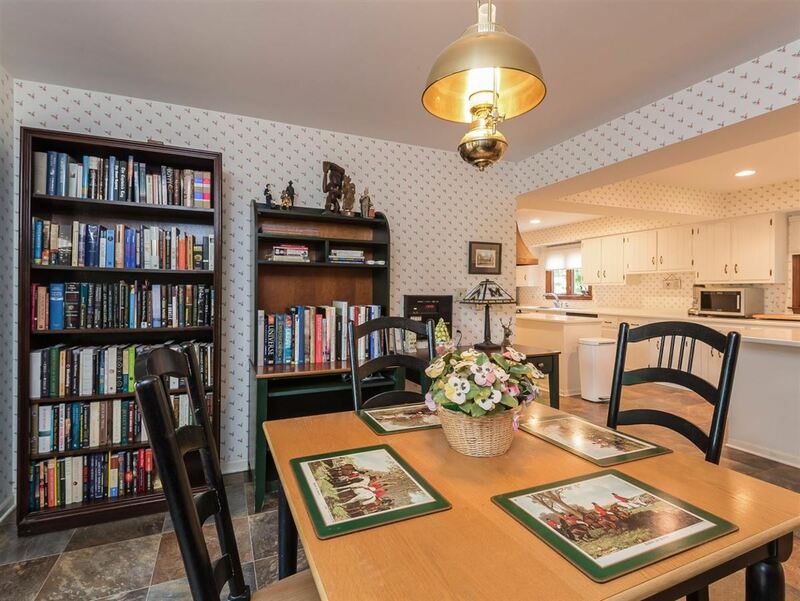 This five-bedroom home includes a first-floor nanny or in-law suite, a bright and sunny chef's kitchen that opens into the formal dining room. 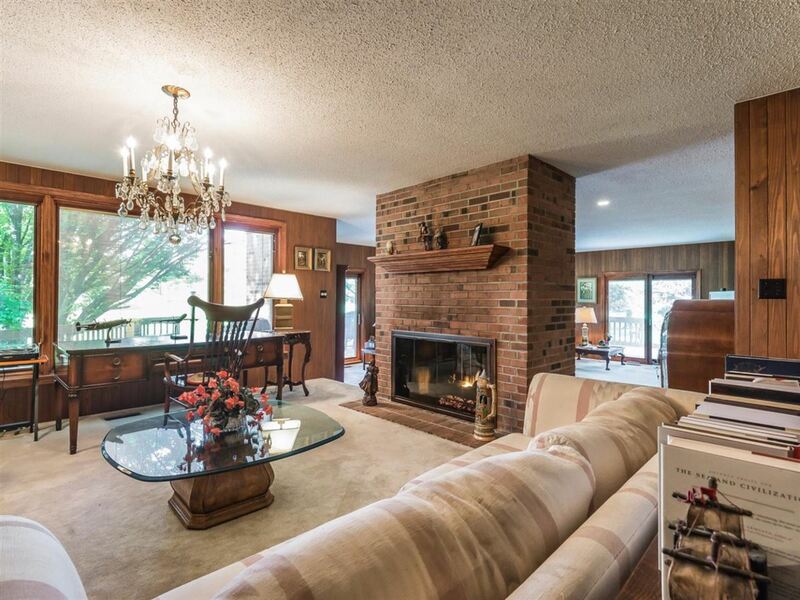 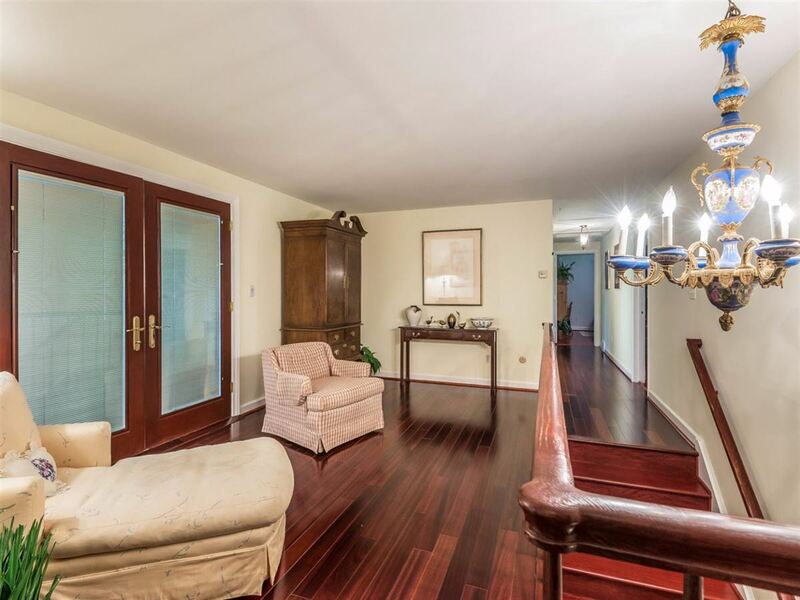 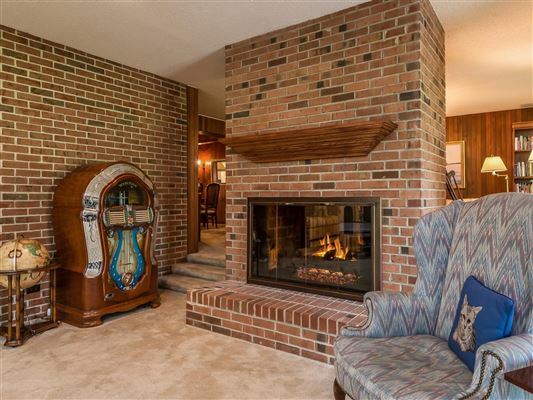 Continue on into the living room separating the great room with a double-sided fireplace. 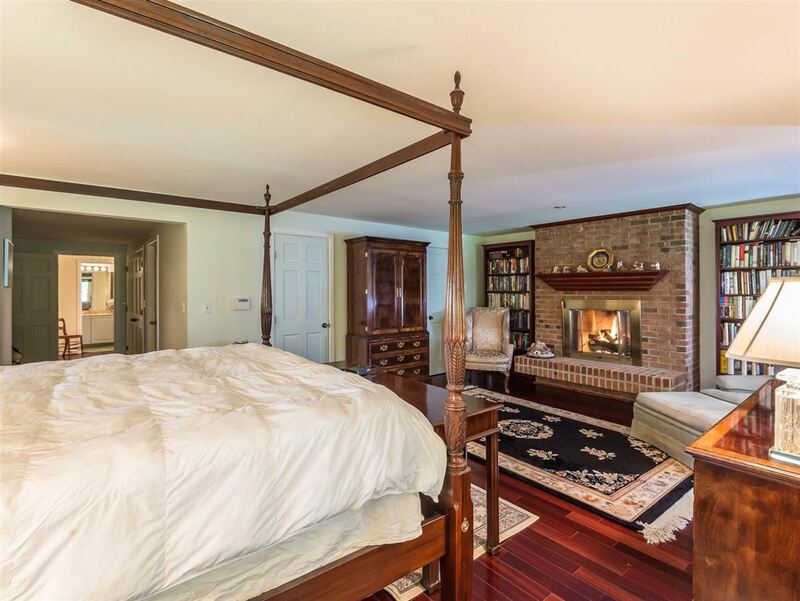 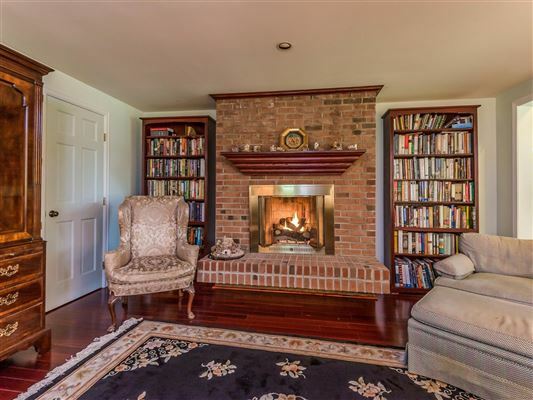 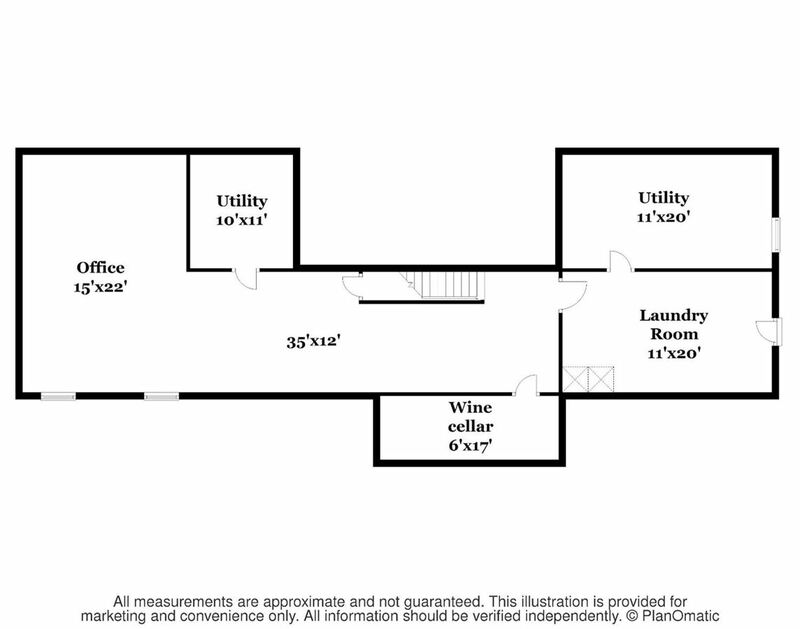 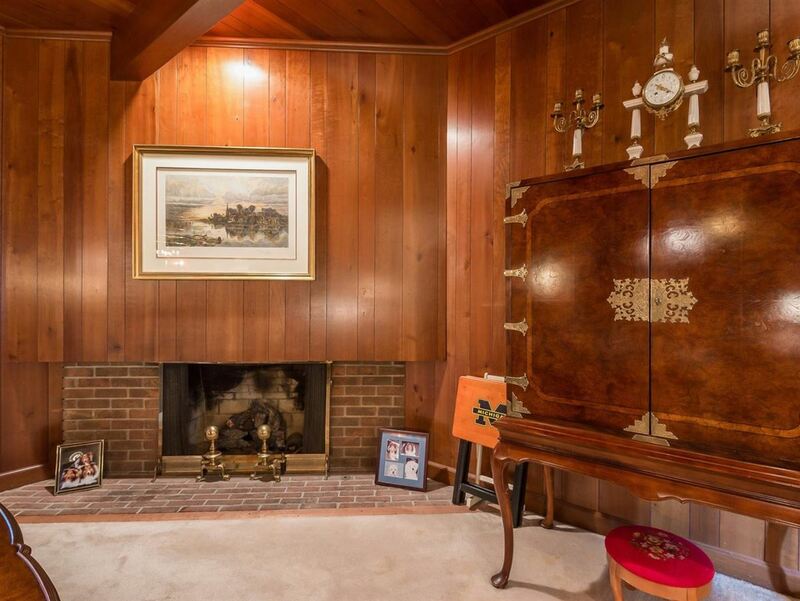 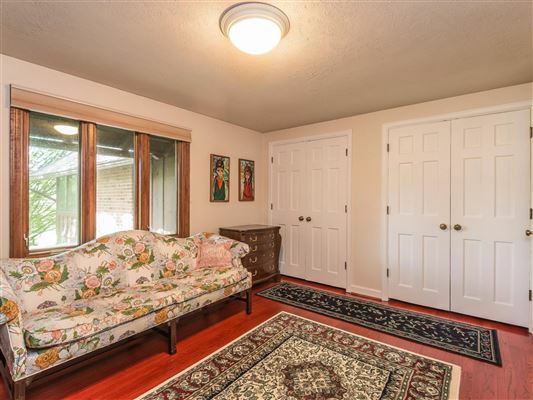 A handsome den with additional fireplace rounds out the first floor. 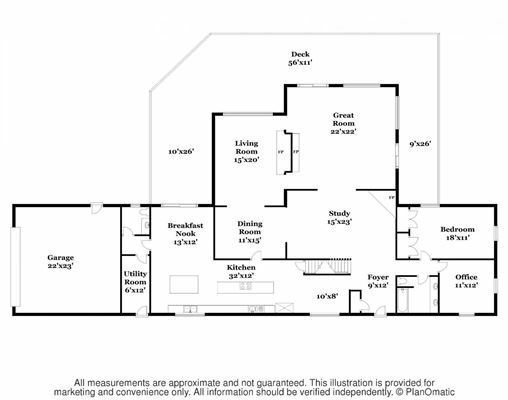 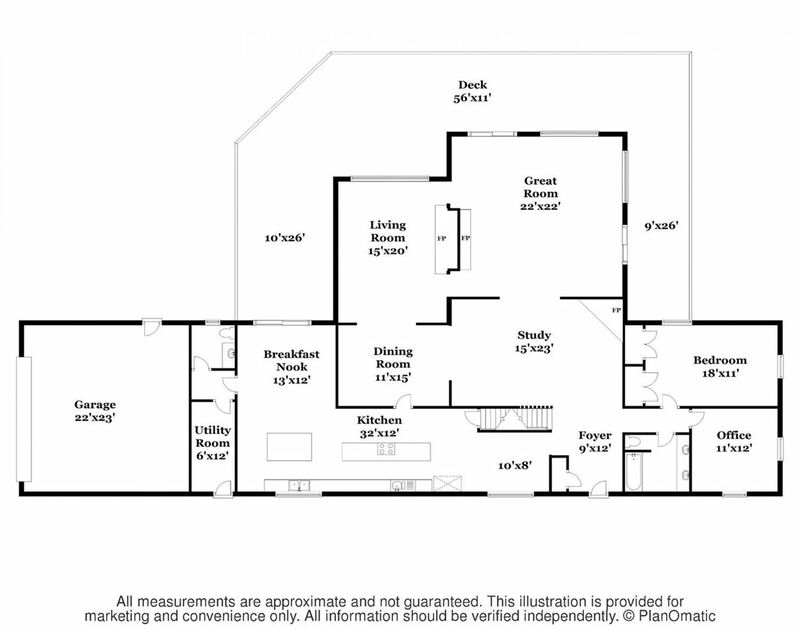 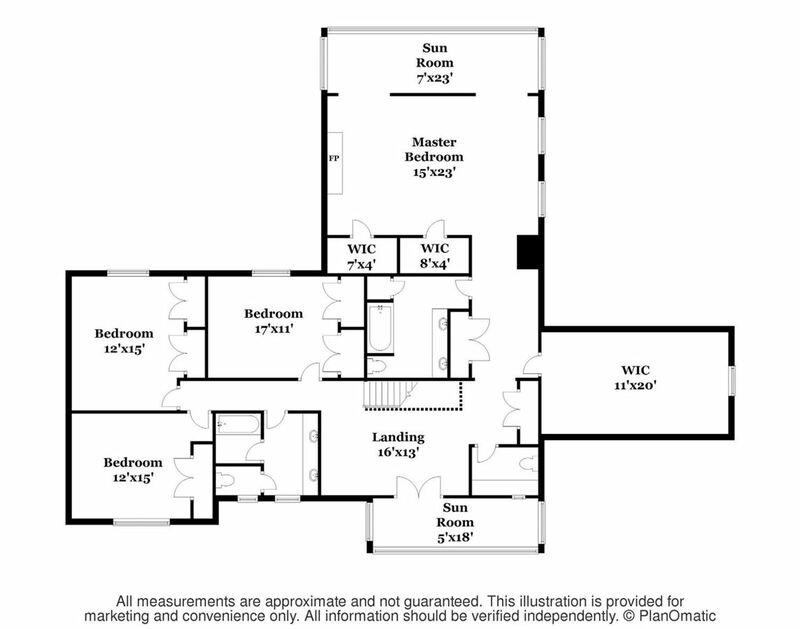 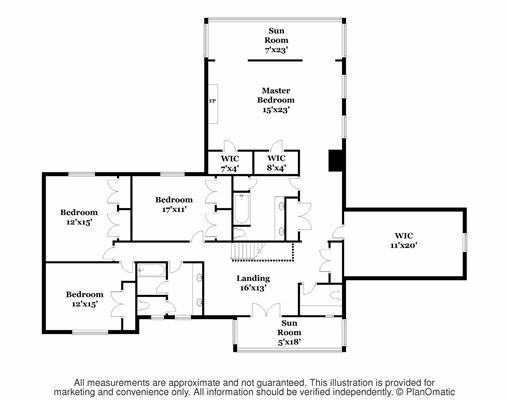 The cherry staircase leads you up to a foyer and sitting room which takes you to a spacious master suite featuring a fireplace, sitting area, en suite and walk-in cedar closet as well as three more bedrooms and two half bathrooms. 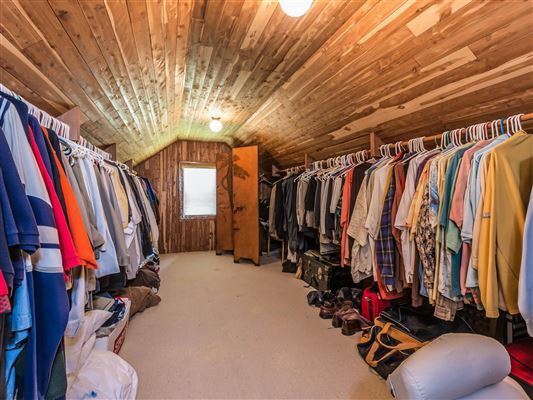 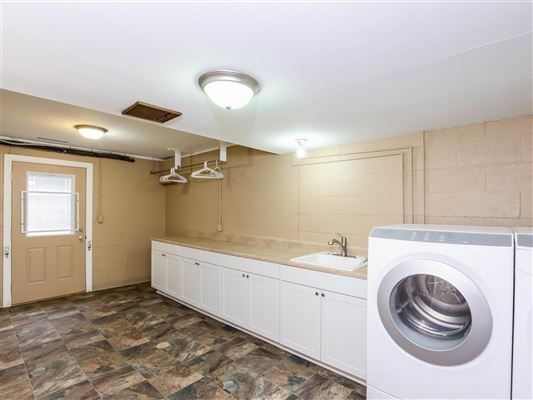 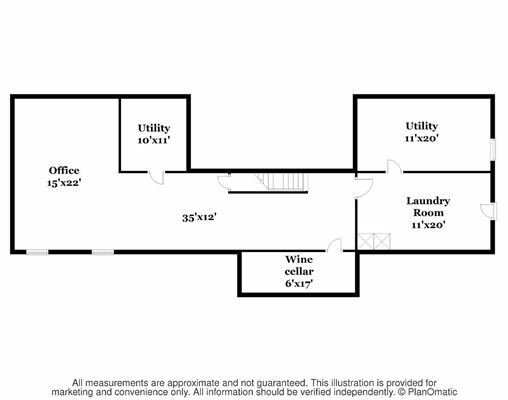 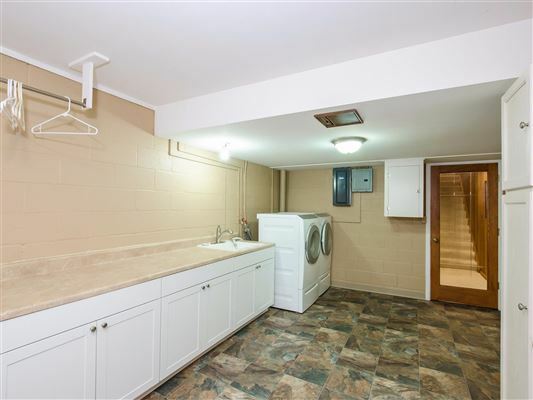 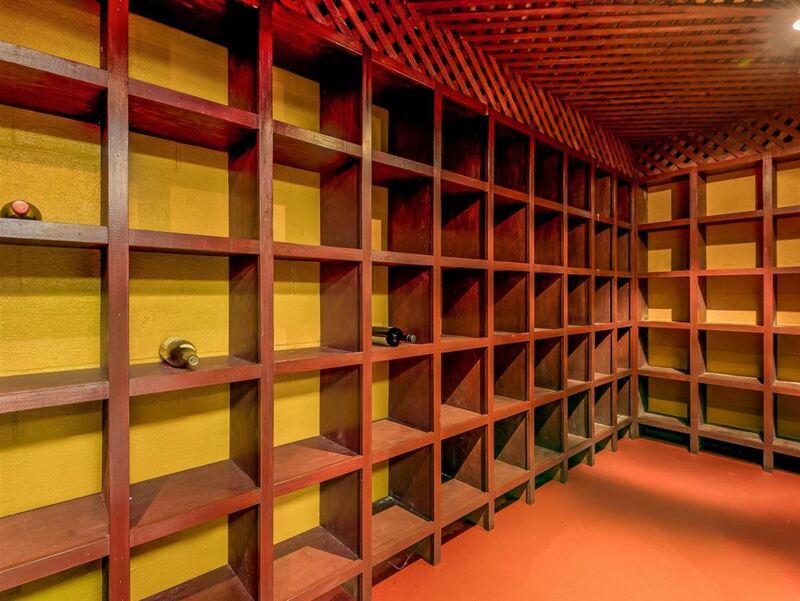 The finished walk out lower level includes, updated laundry room, wine cellar and plenty of room for a home theatre, office, etc. 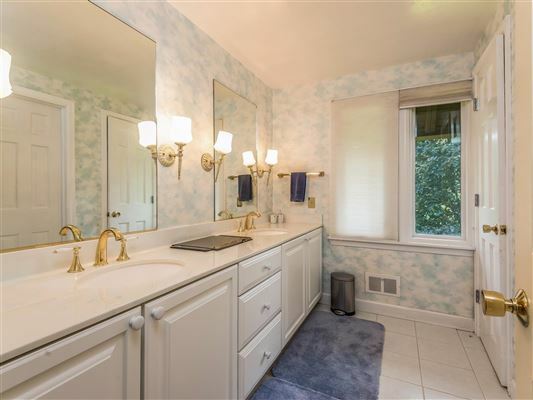 New water softner and well pump recently installed. 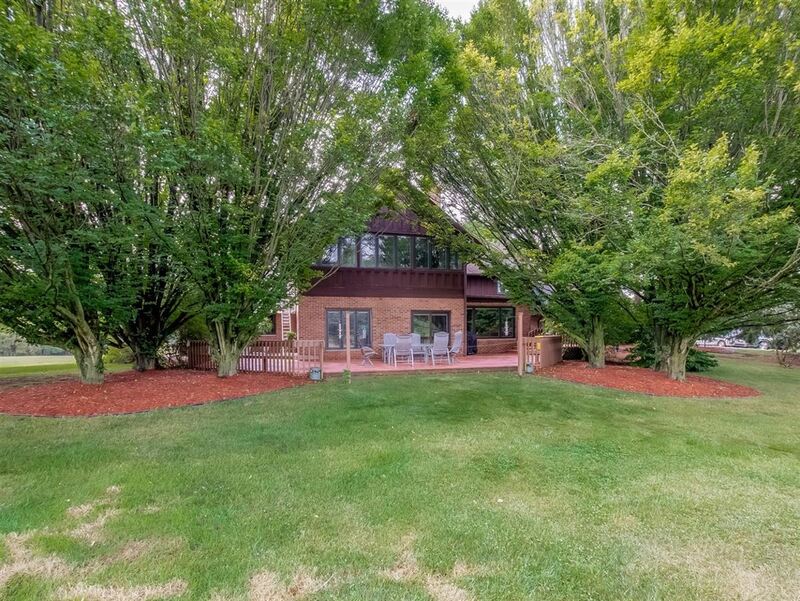 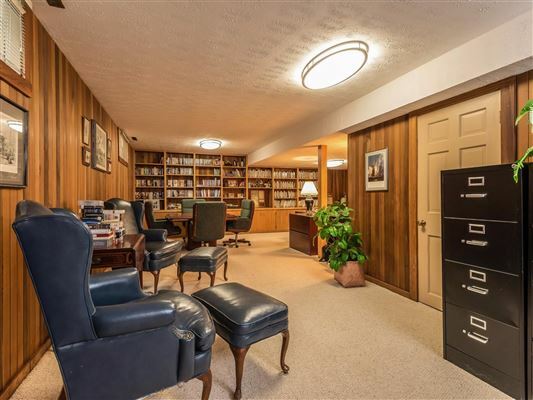 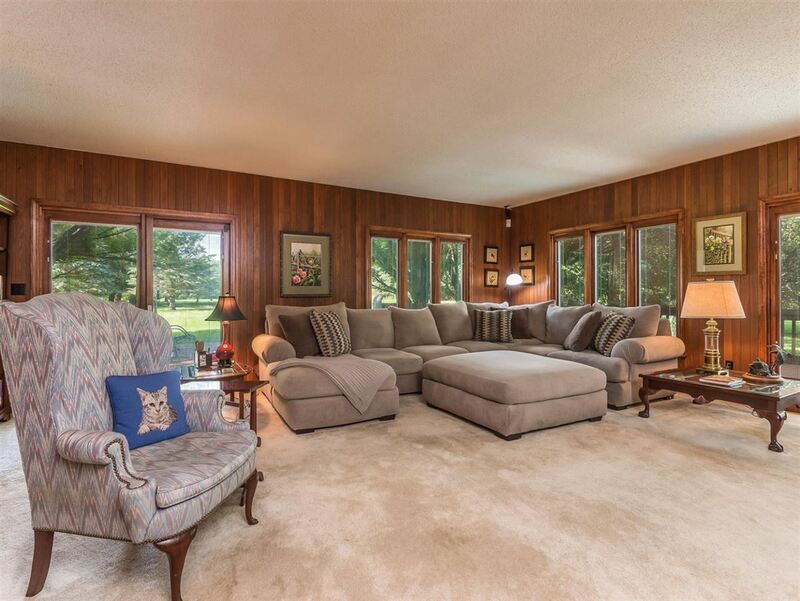 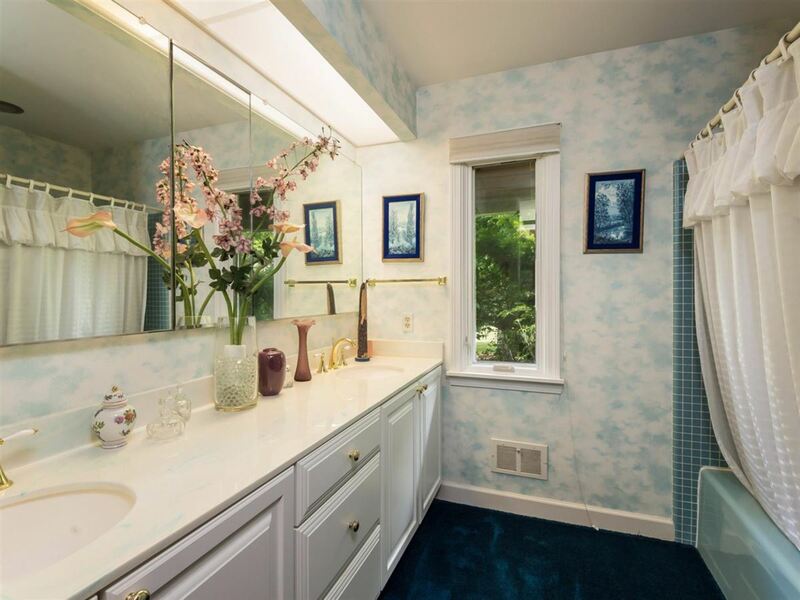 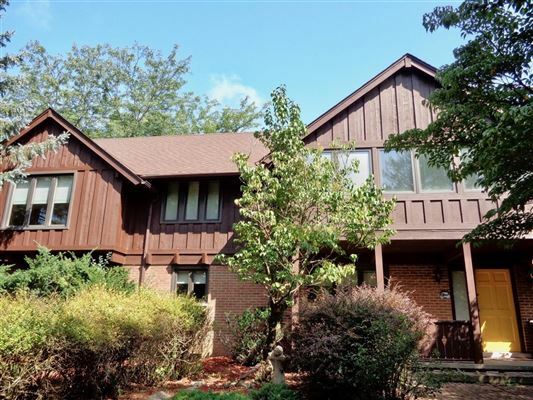 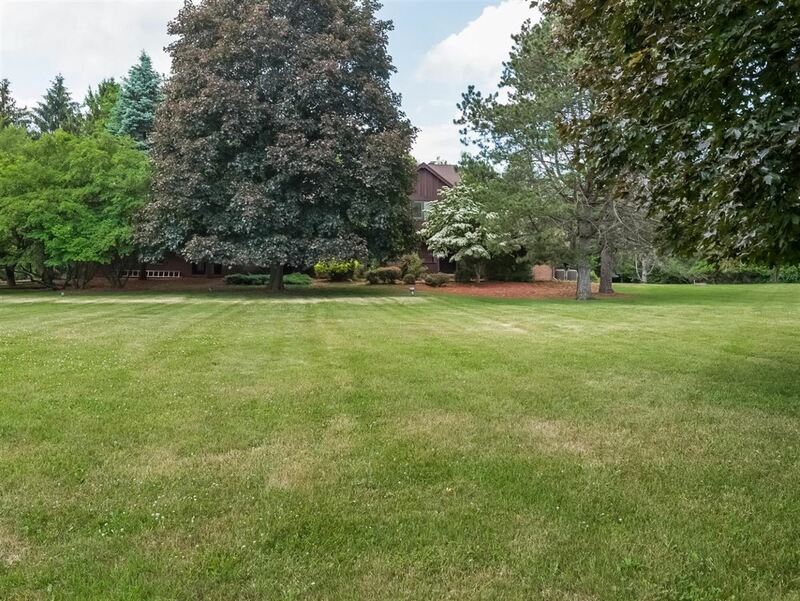 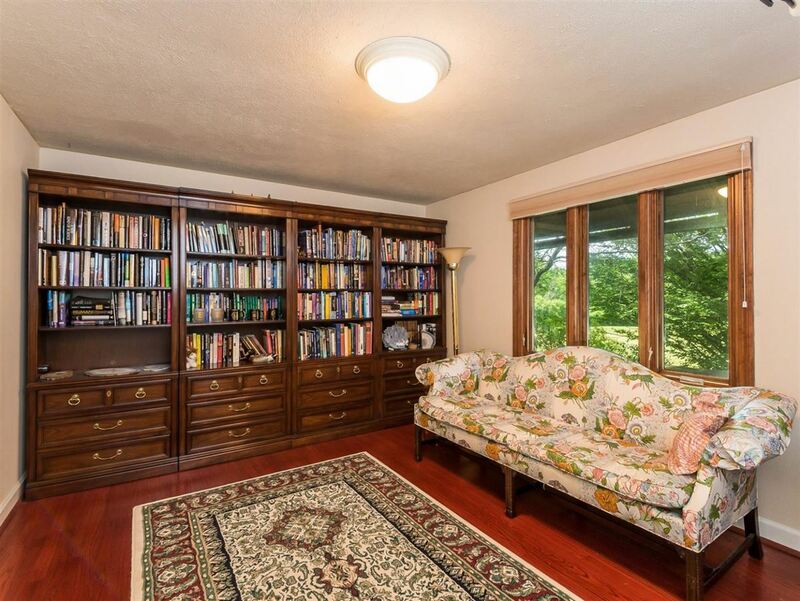 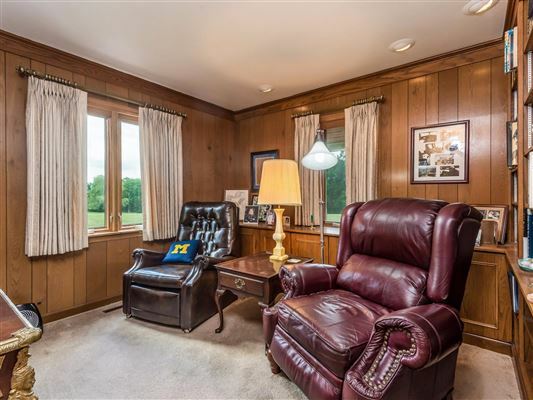 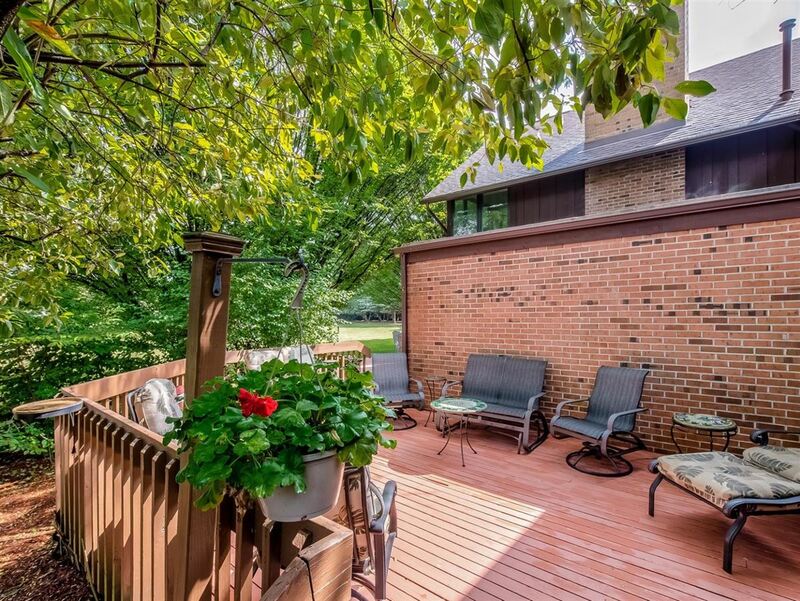 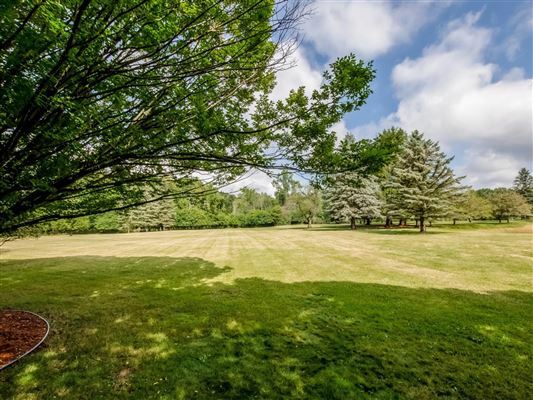 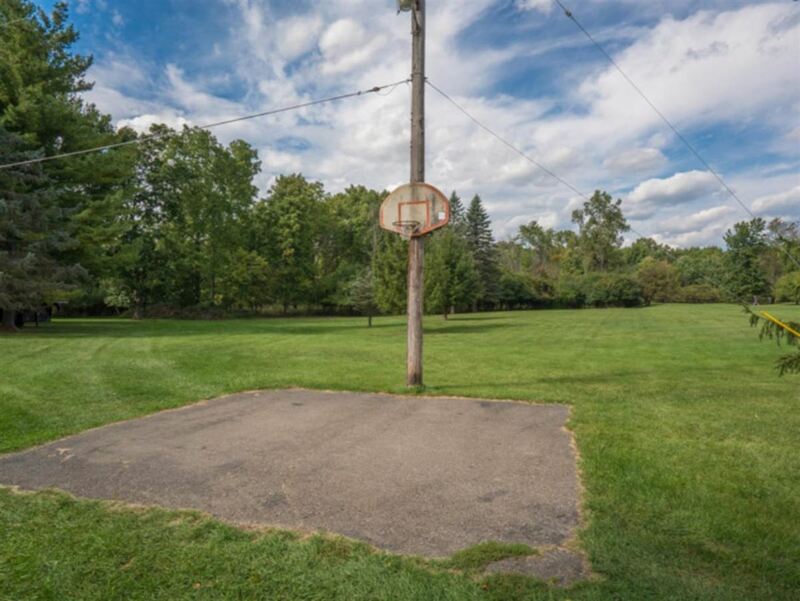 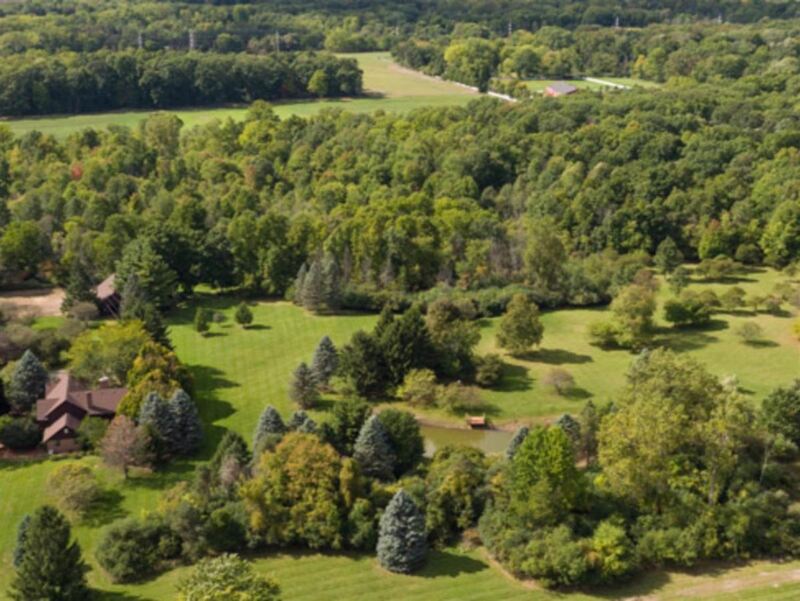 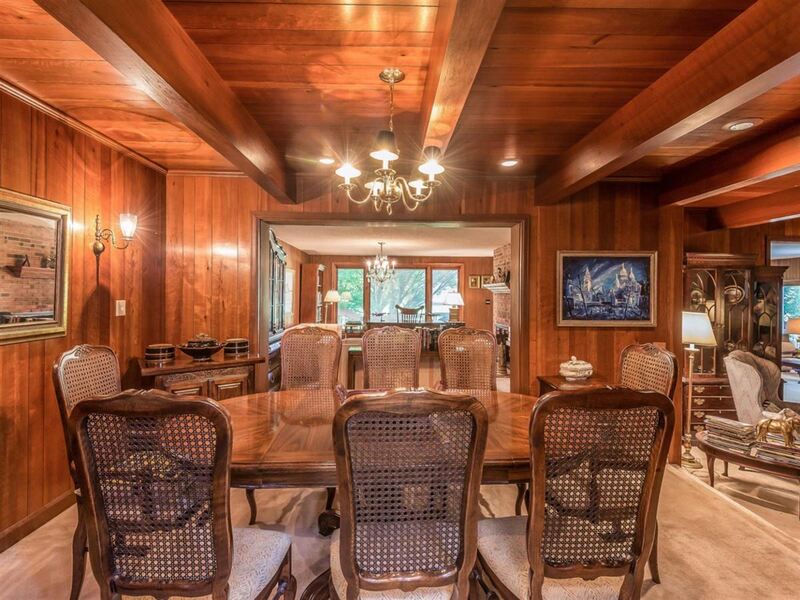 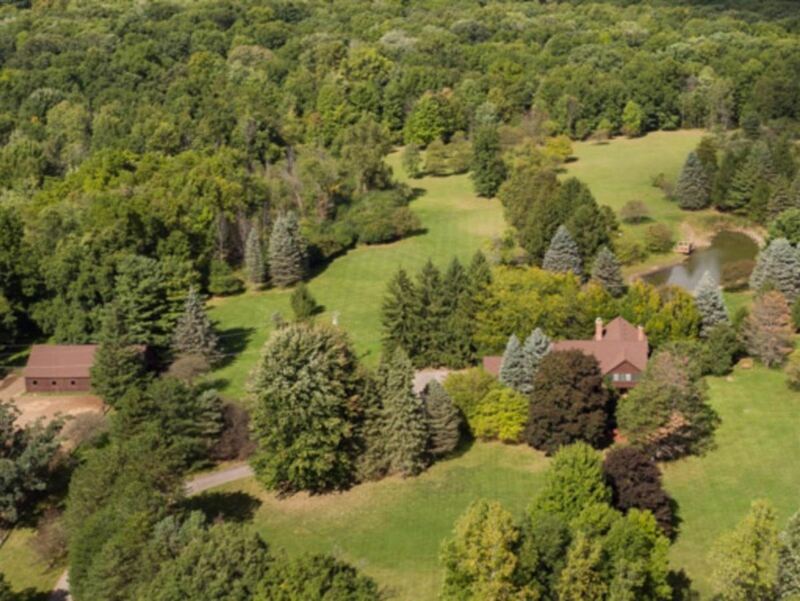 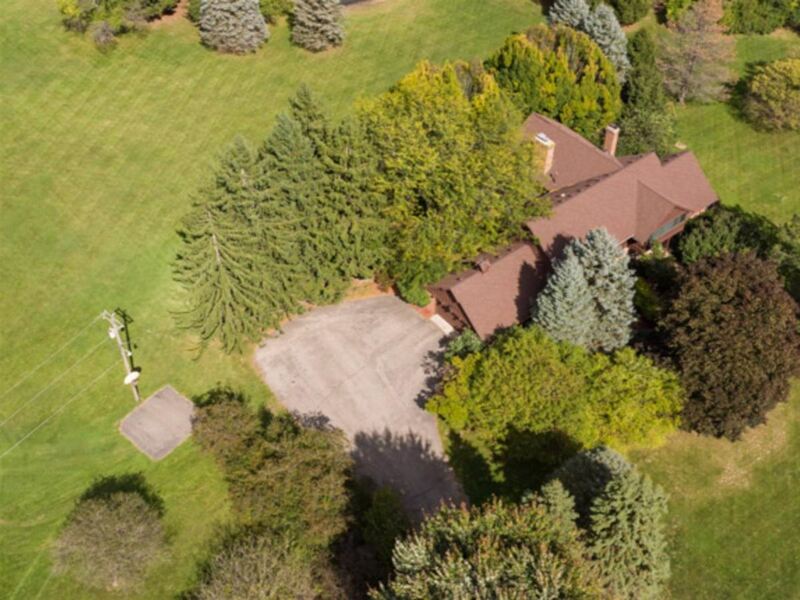 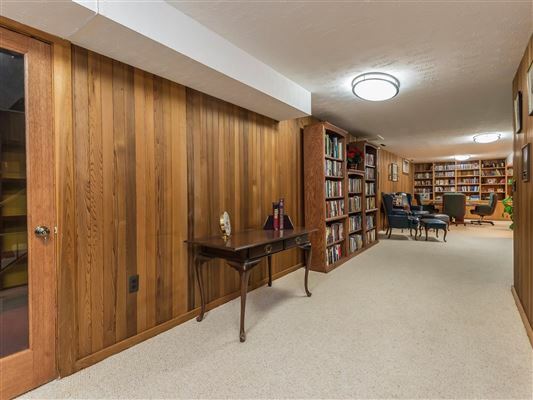 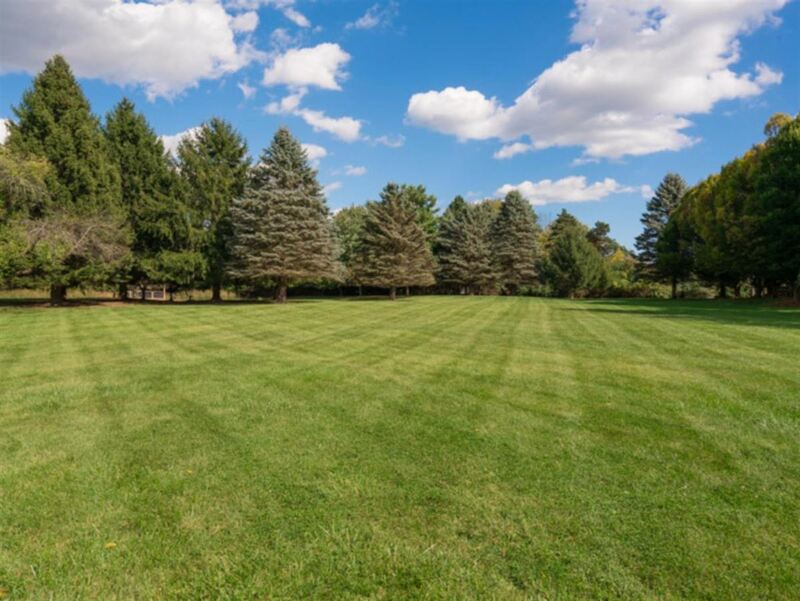 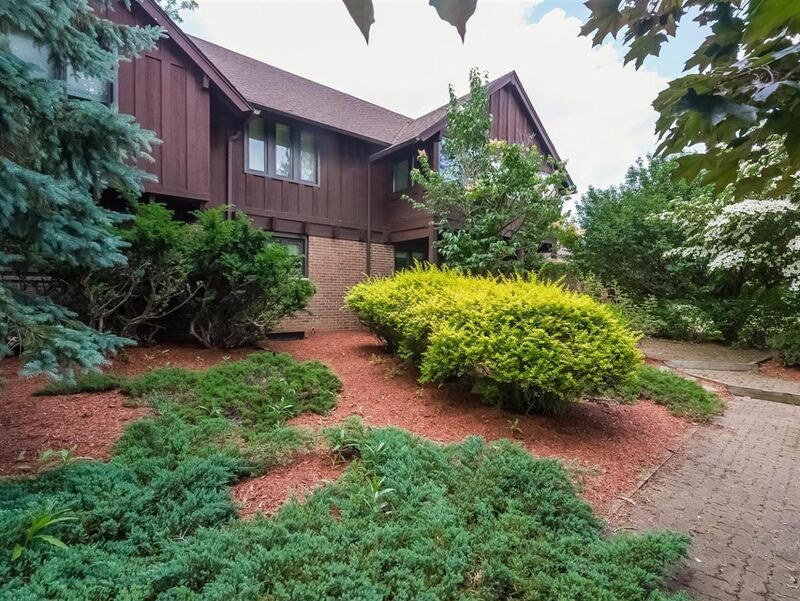 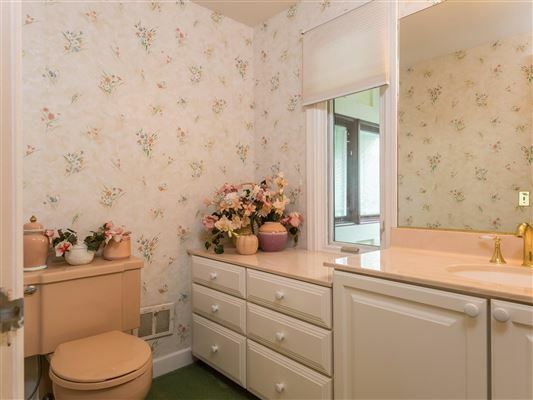 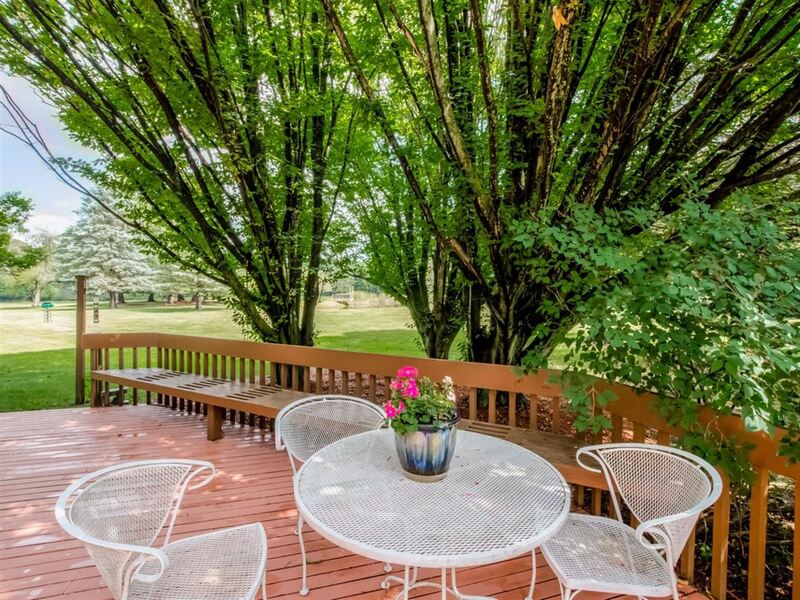 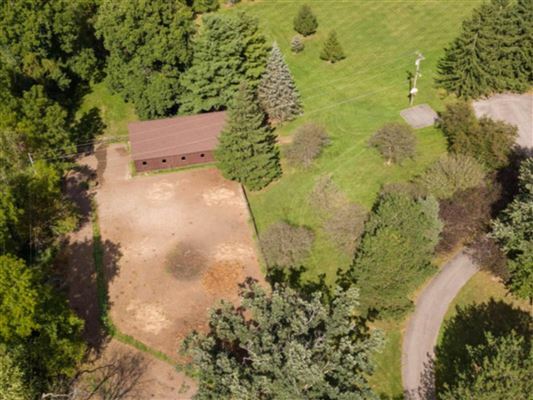 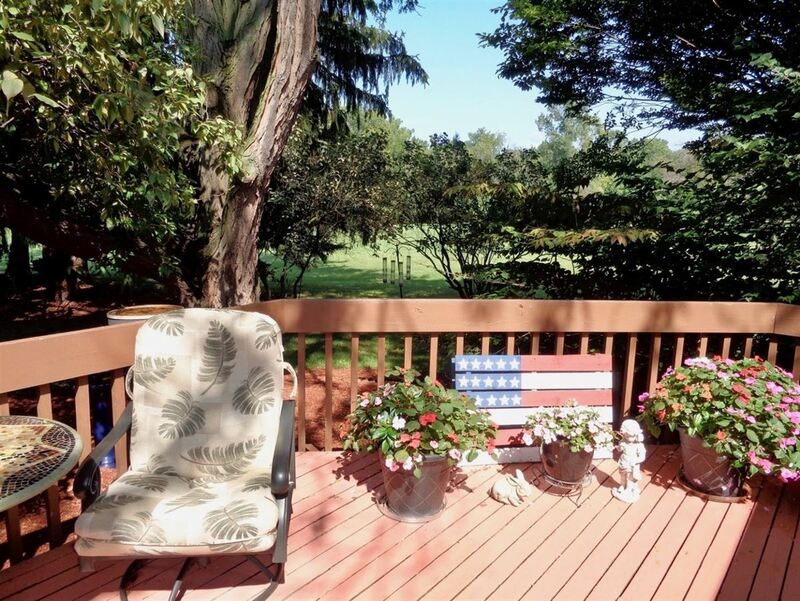 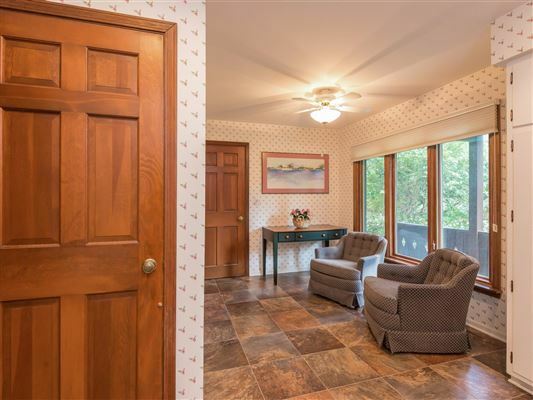 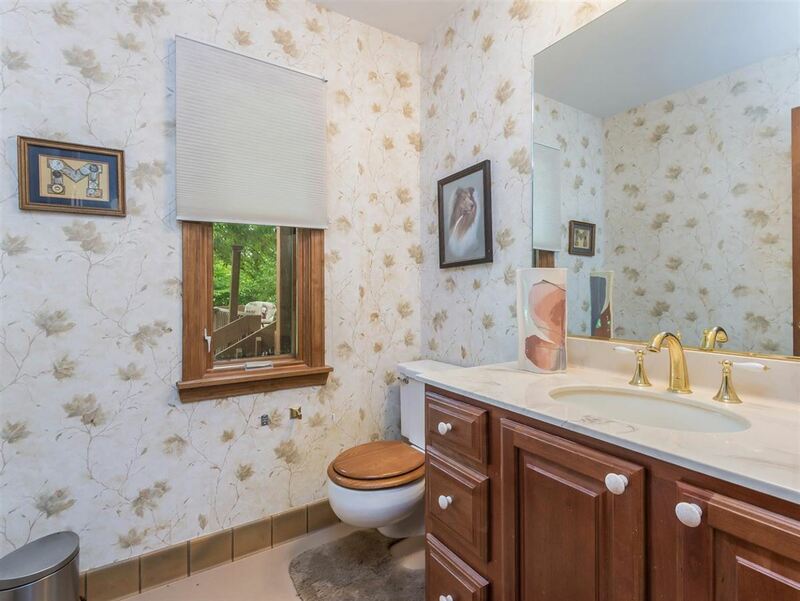 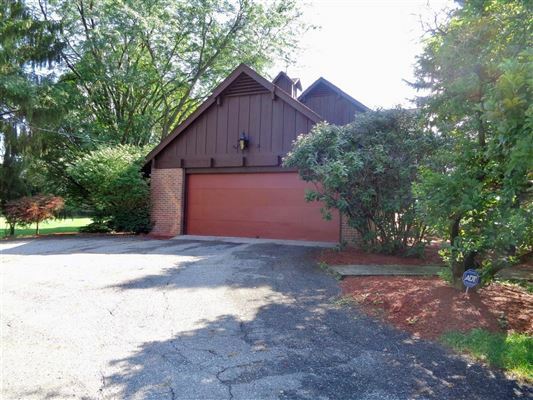 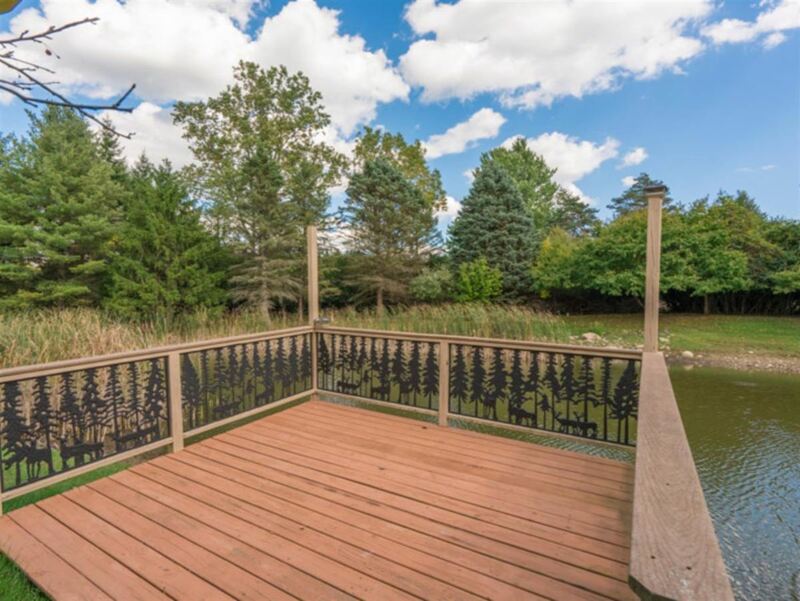 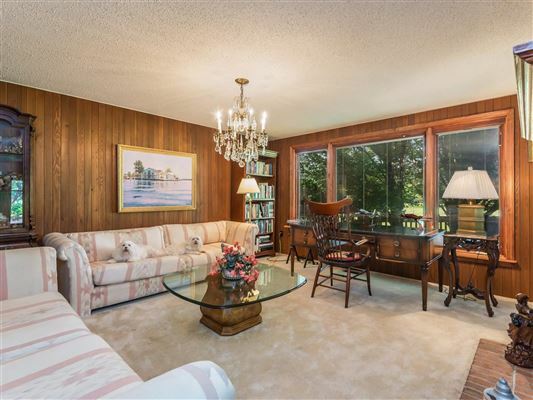 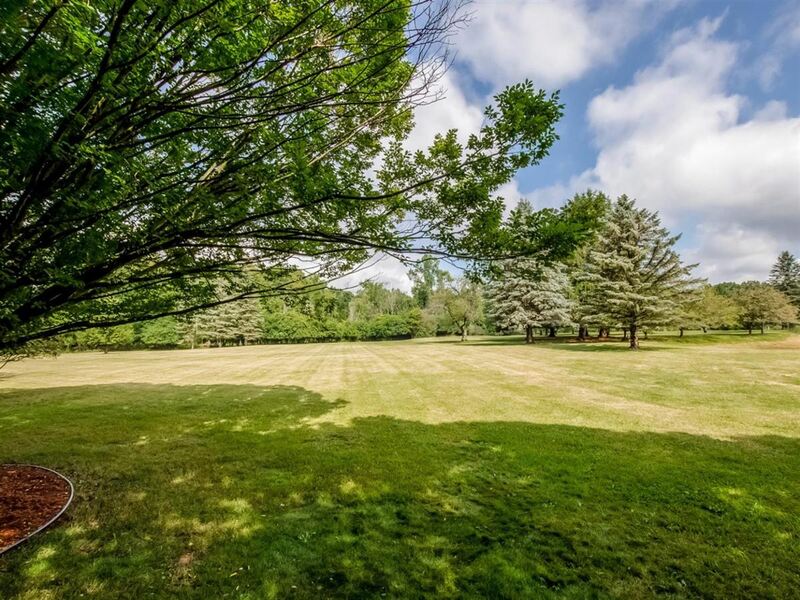 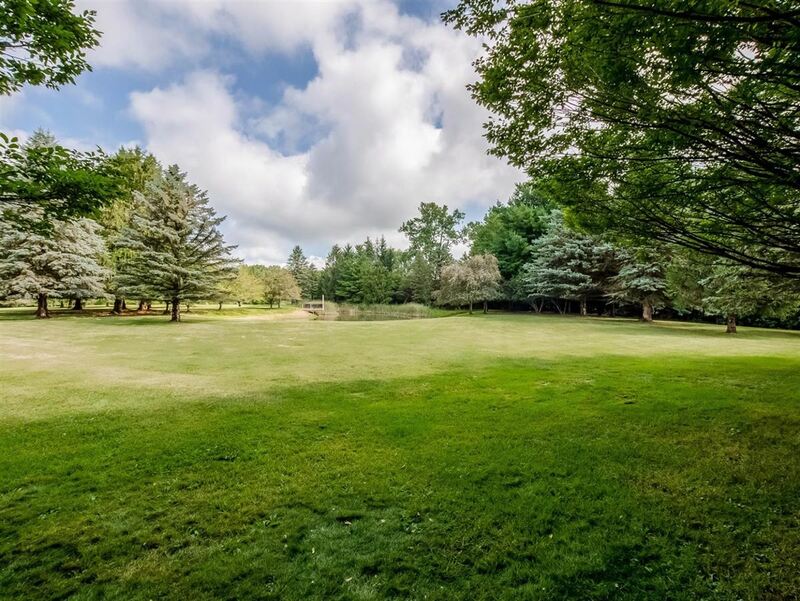 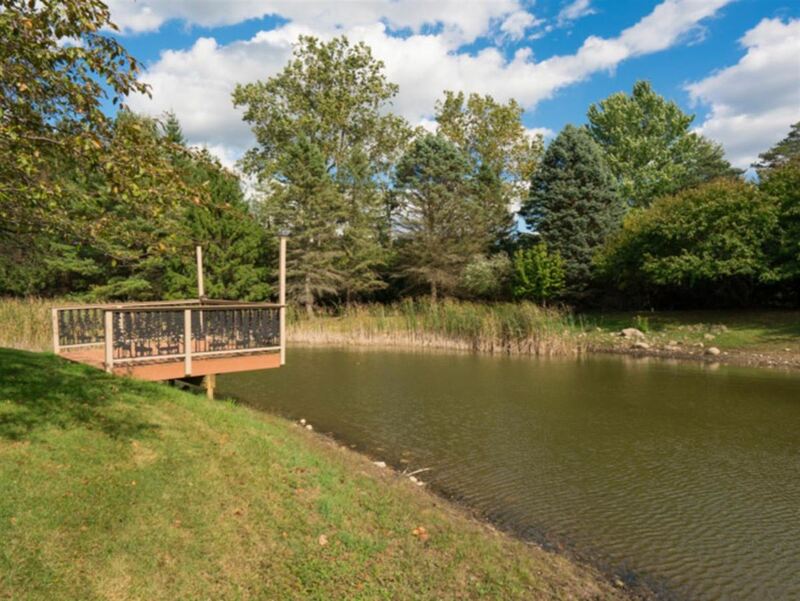 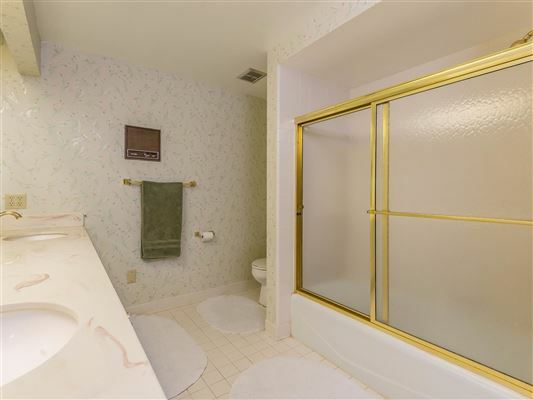 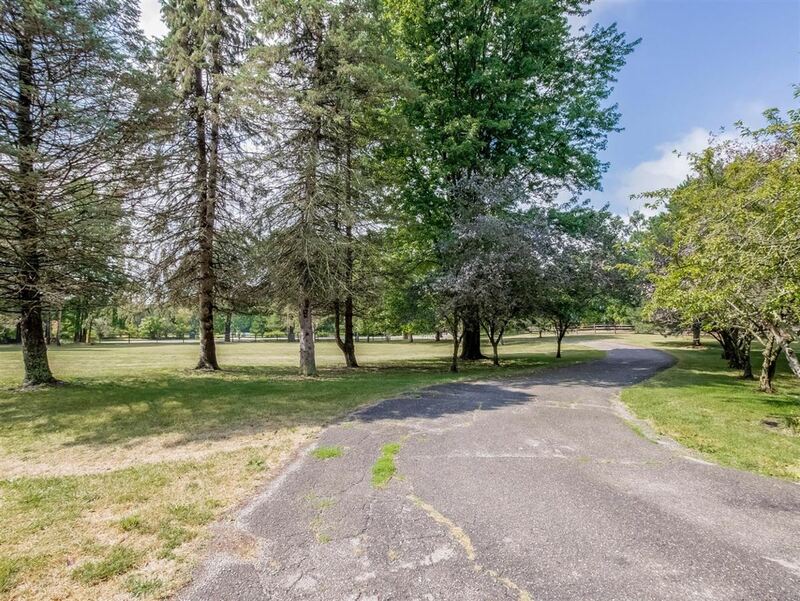 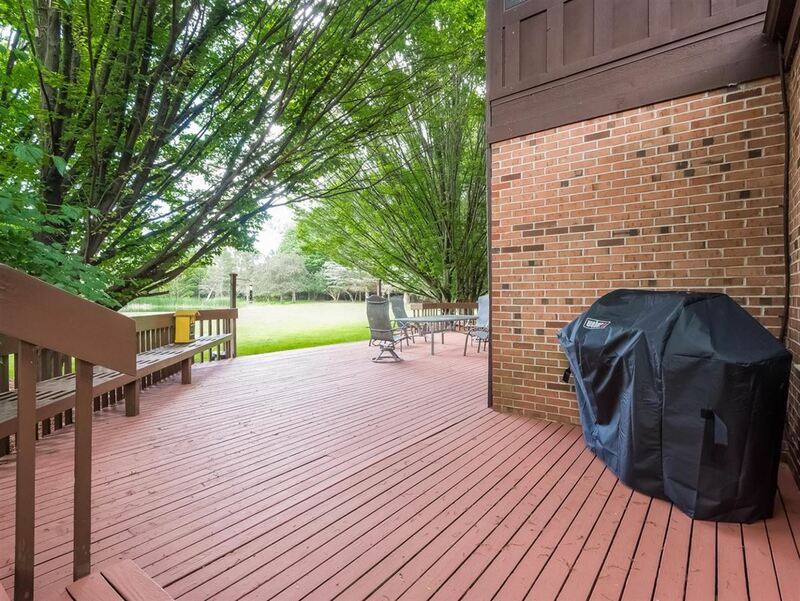 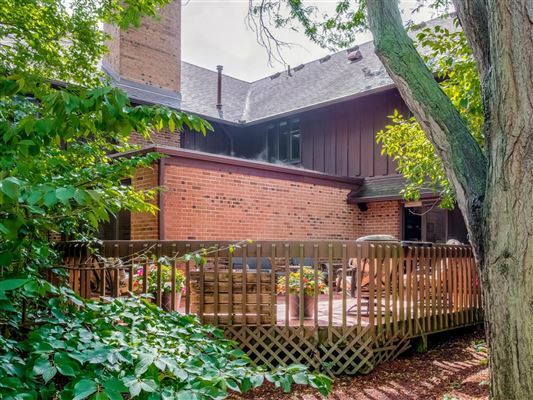 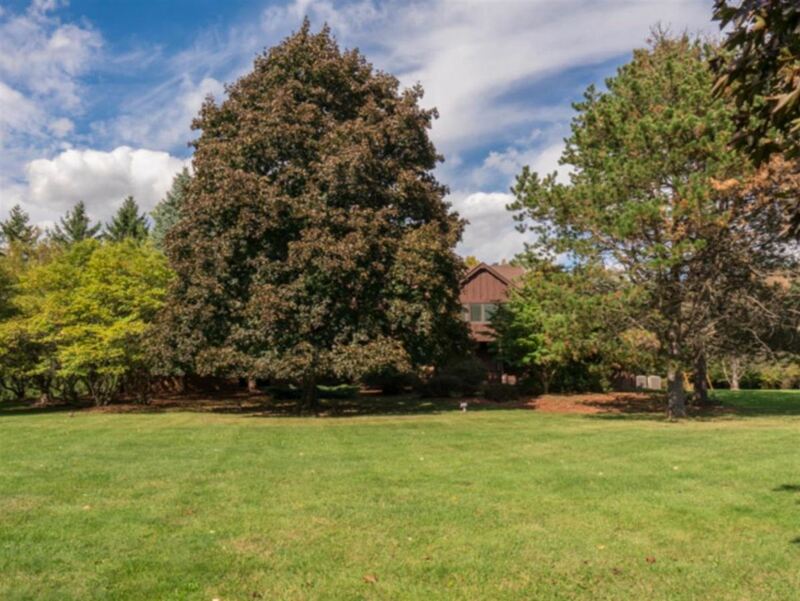 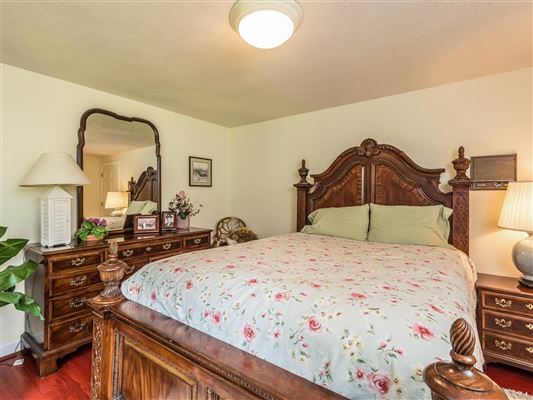 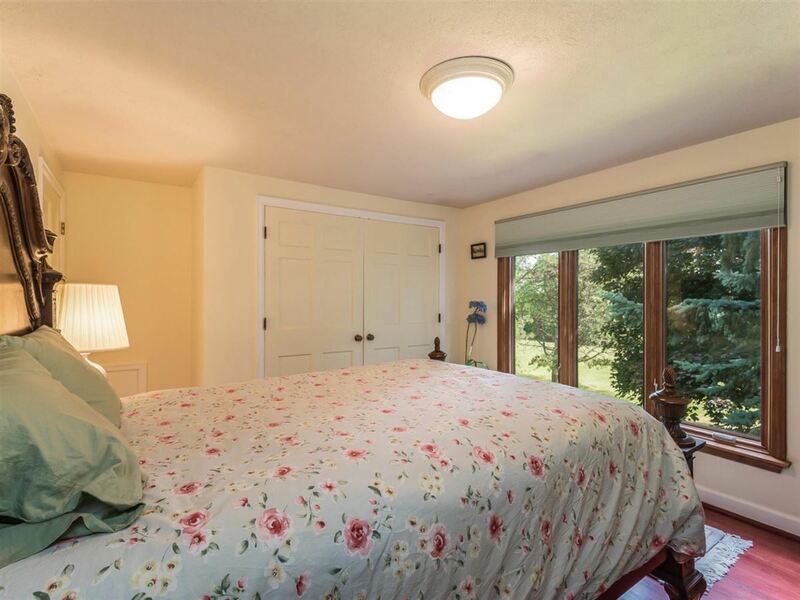 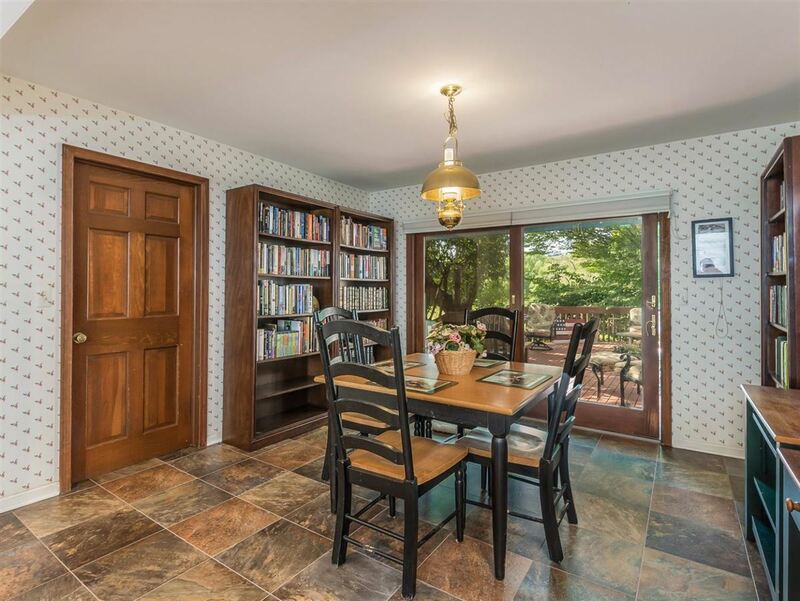 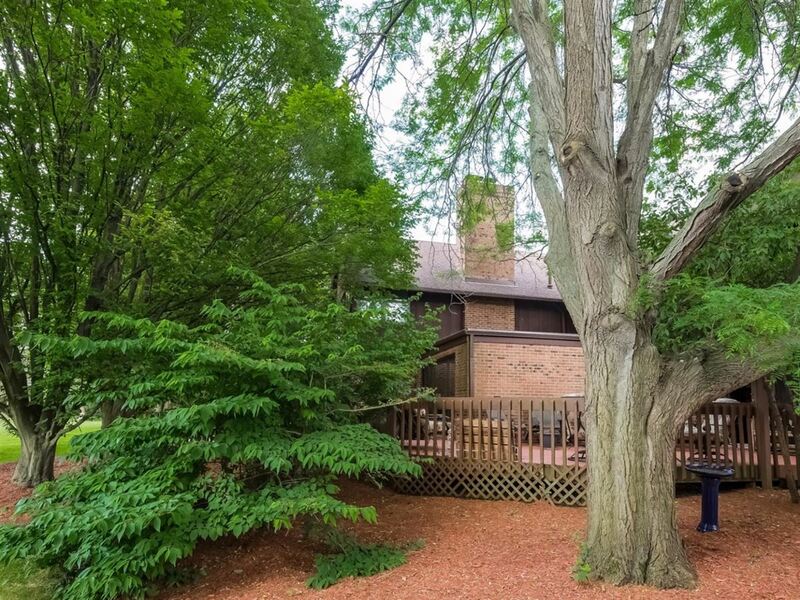 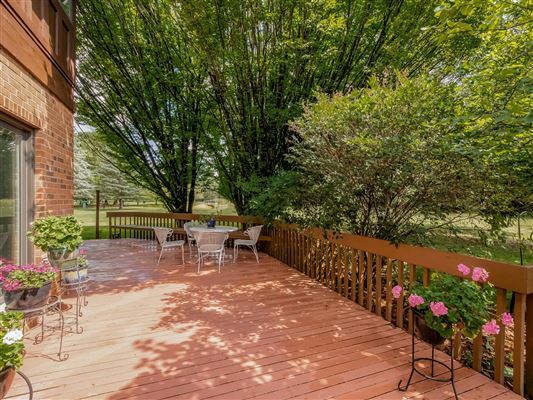 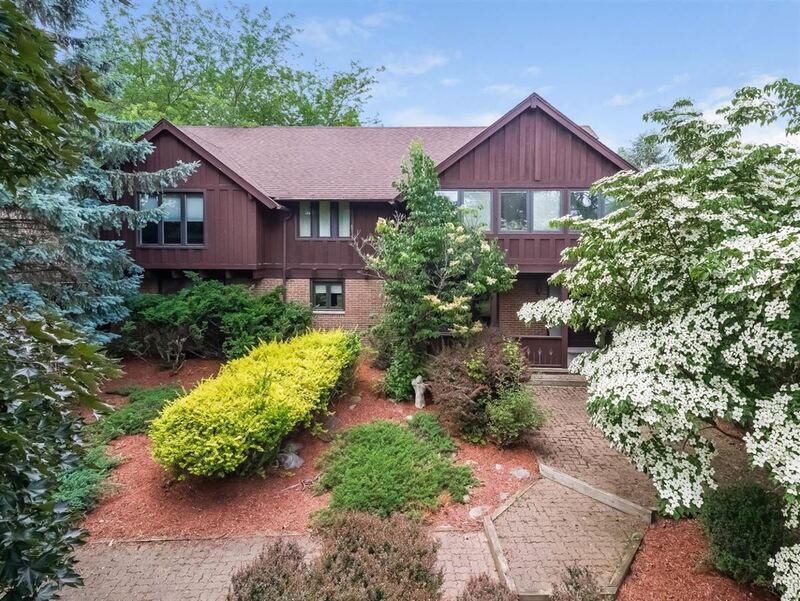 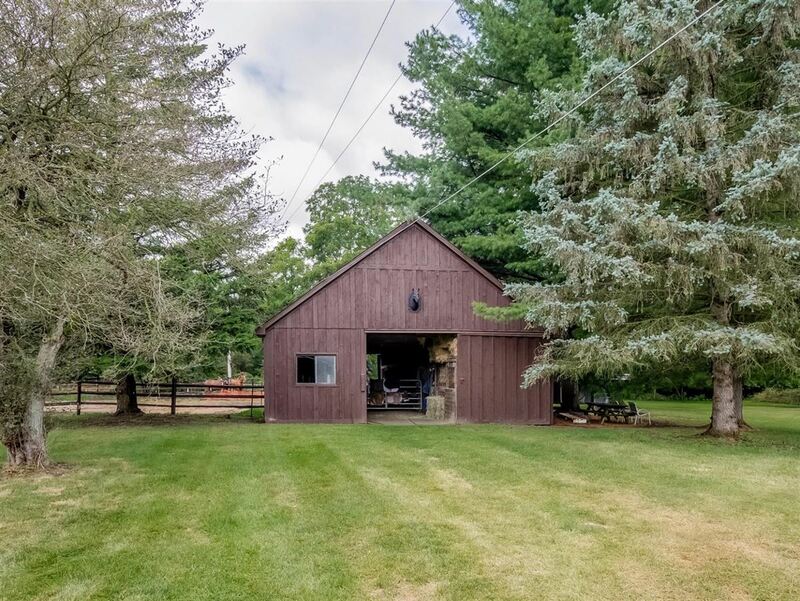 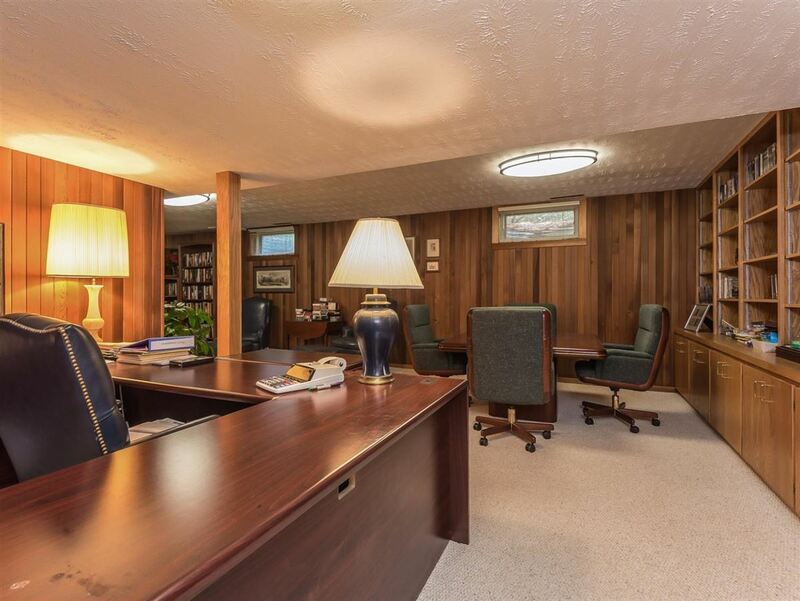 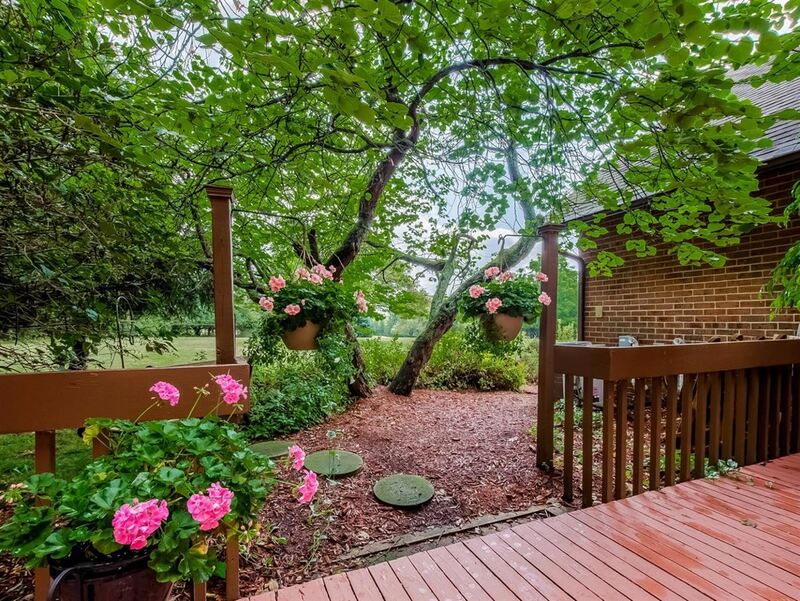 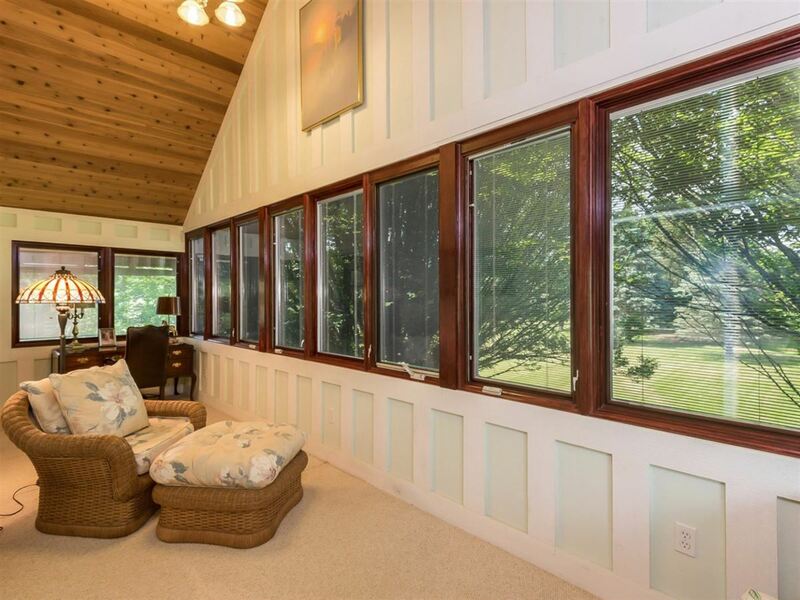 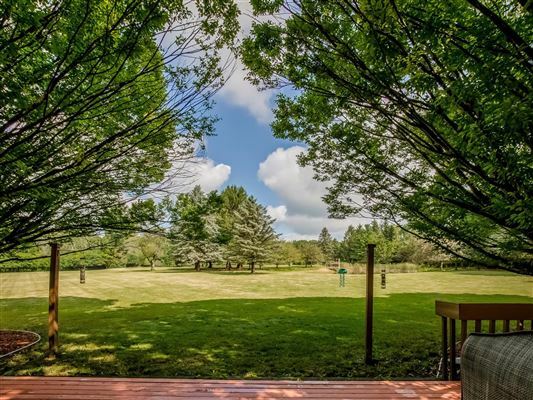 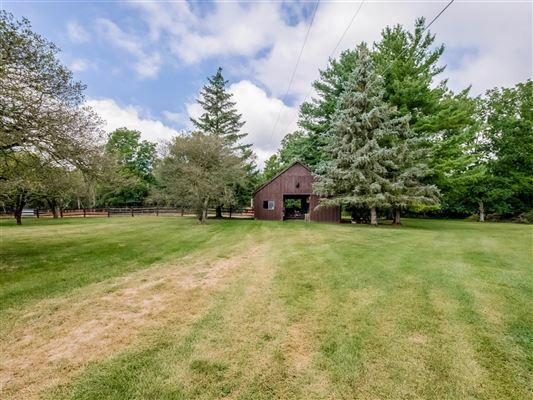 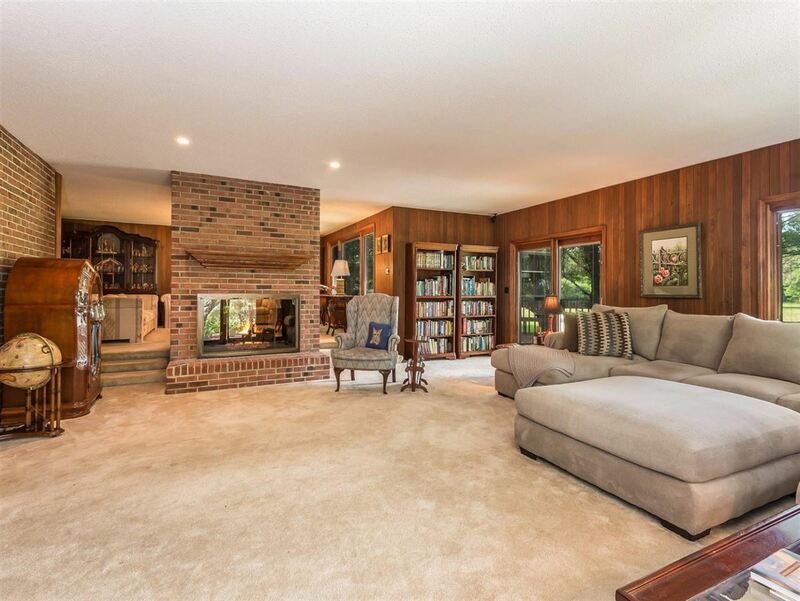 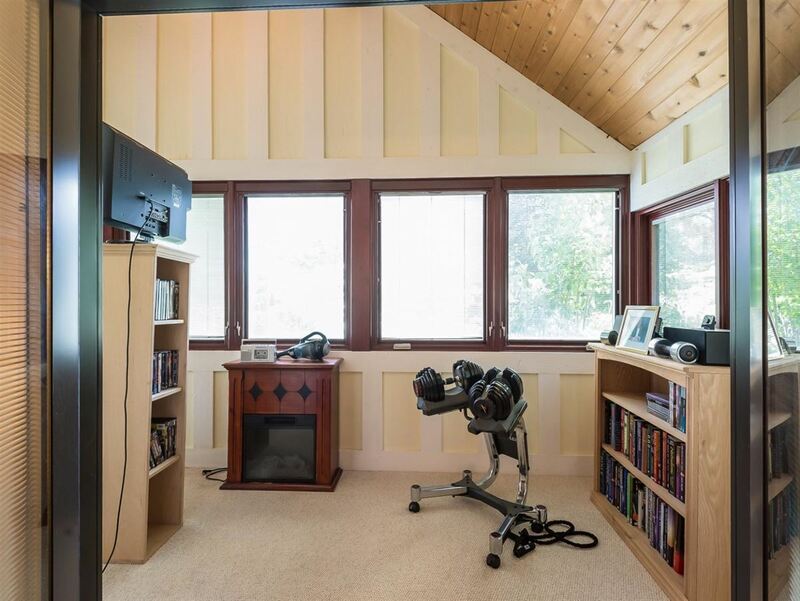 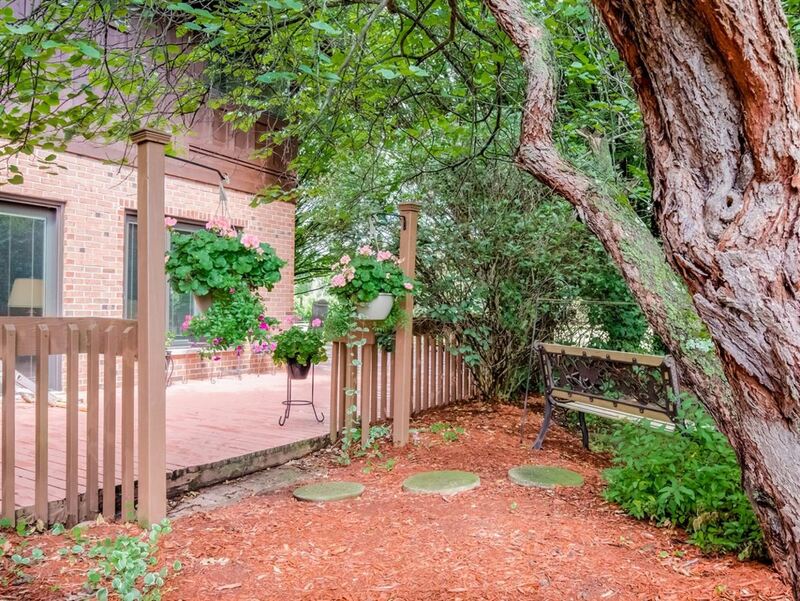 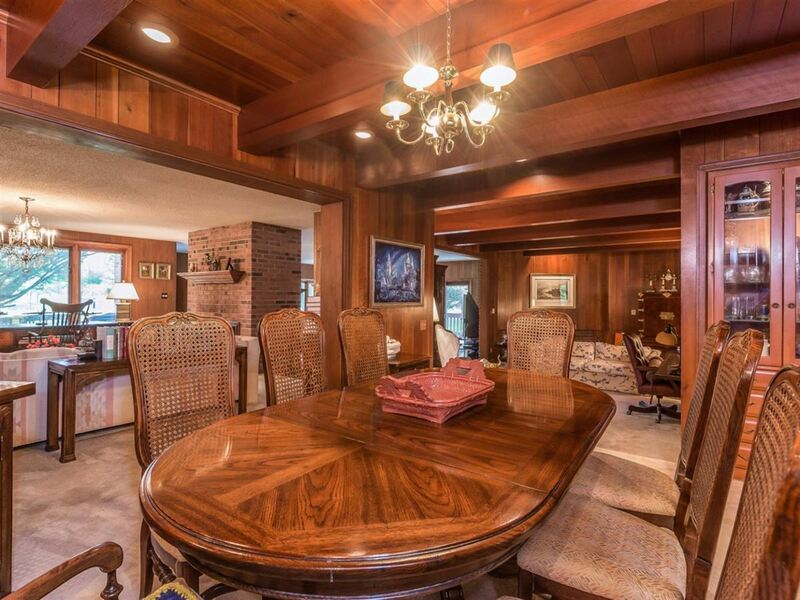 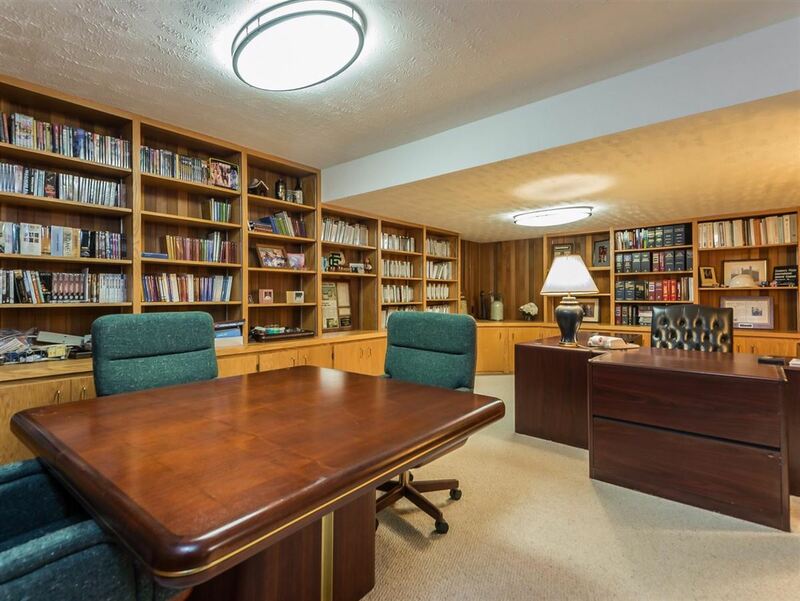 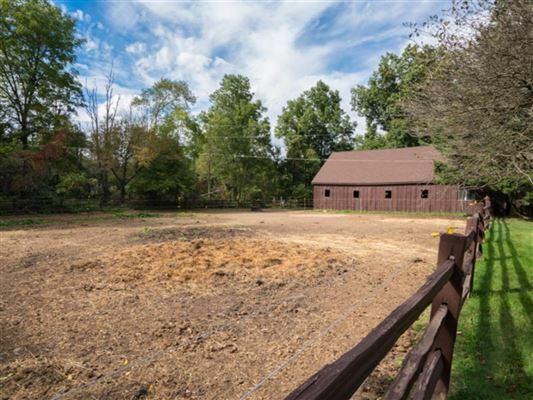 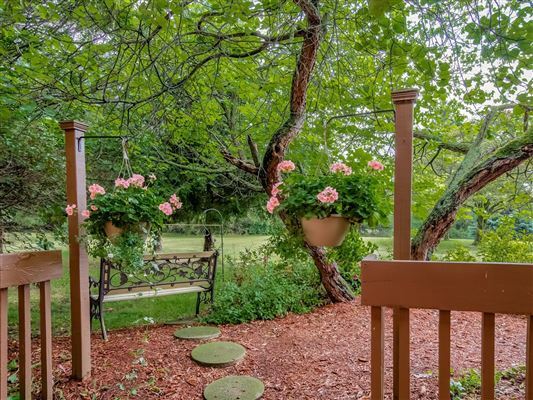 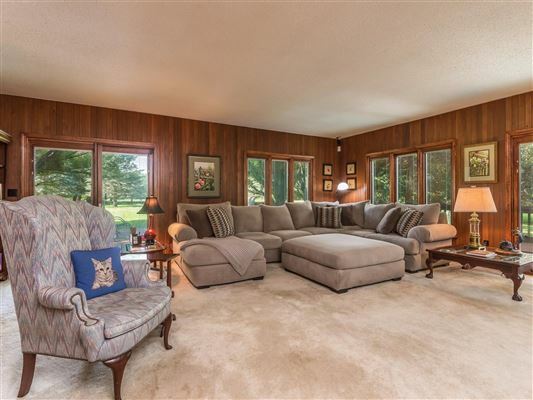 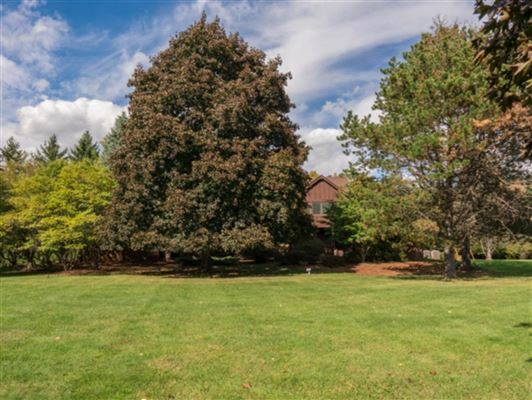 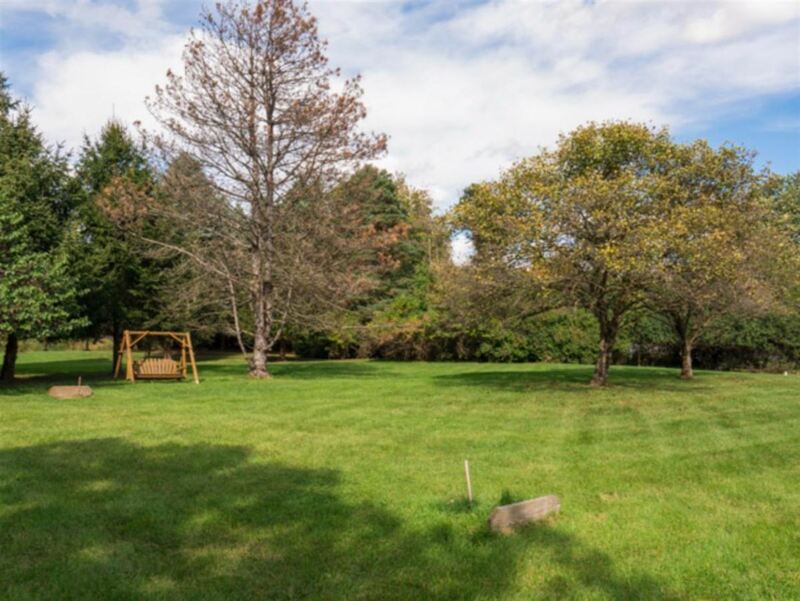 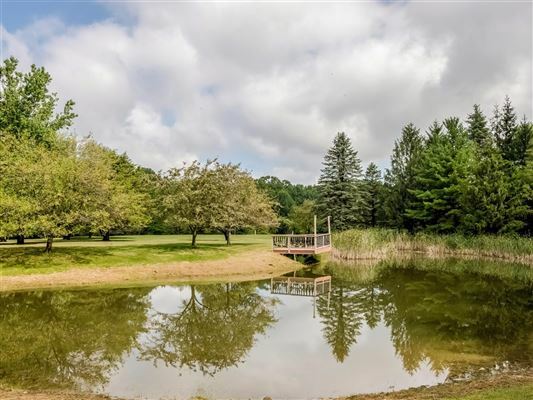 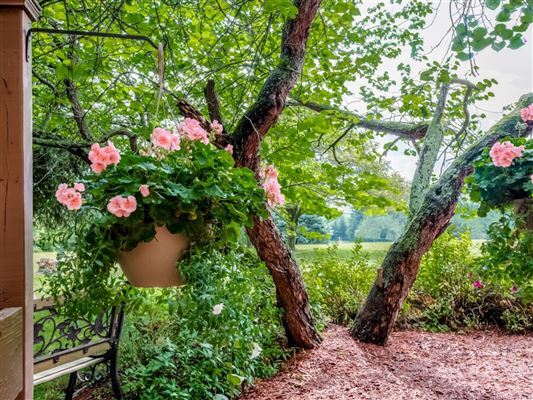 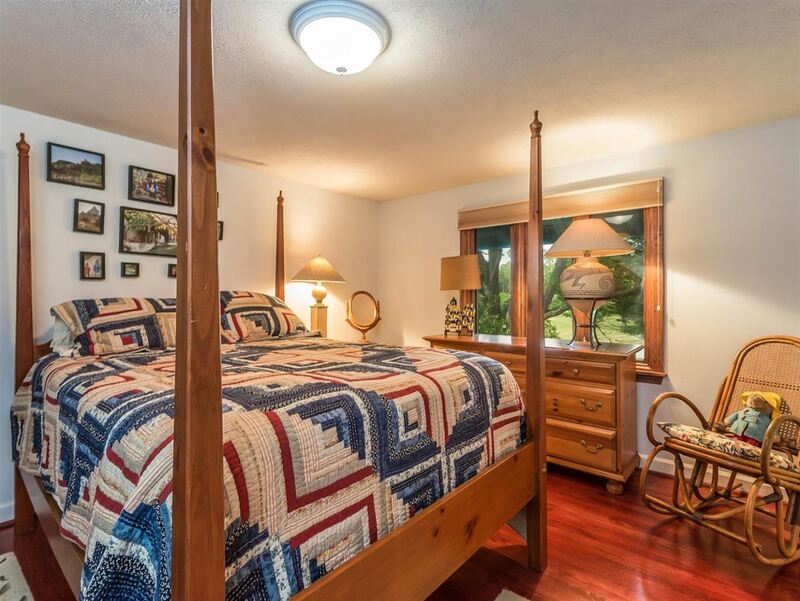 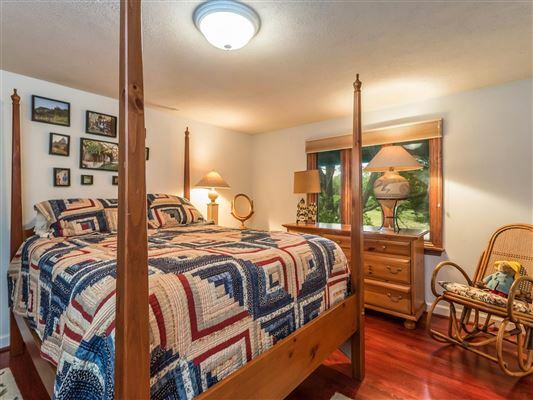 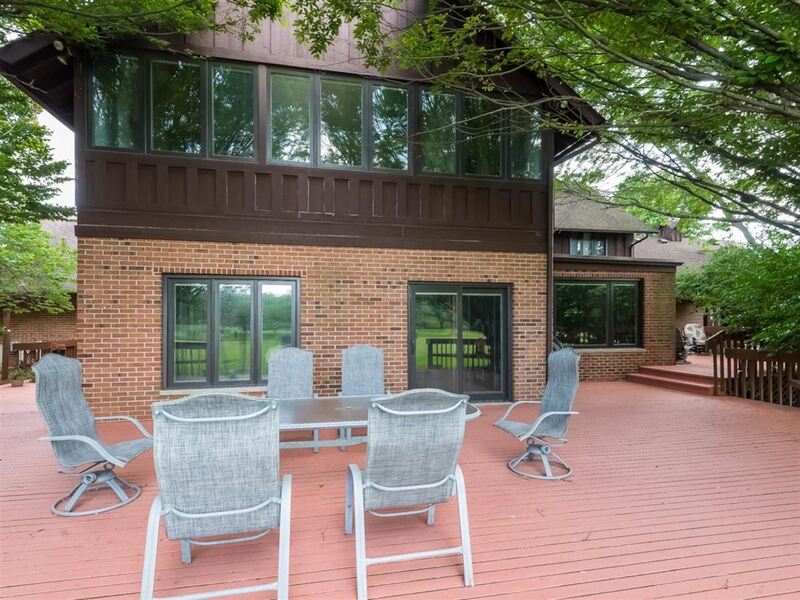 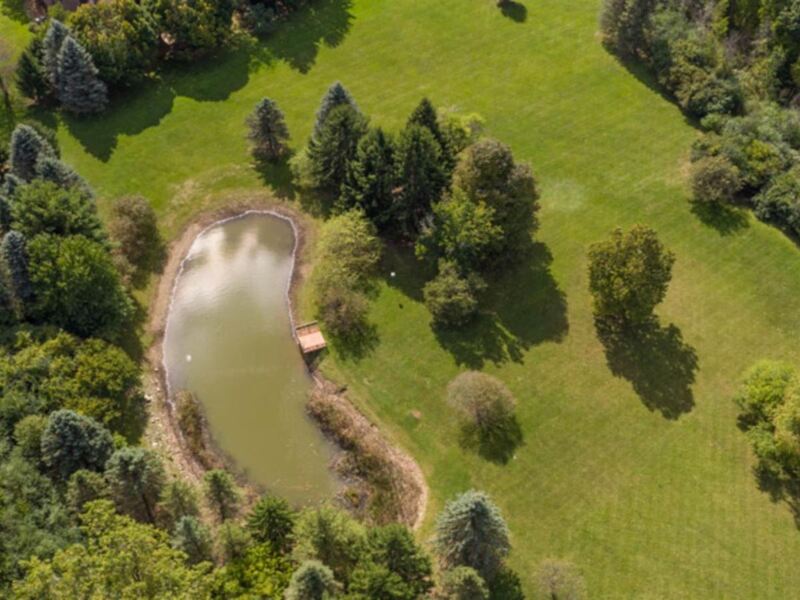 Imagine your own private, wooded sanctuary right in Ann Arbor!